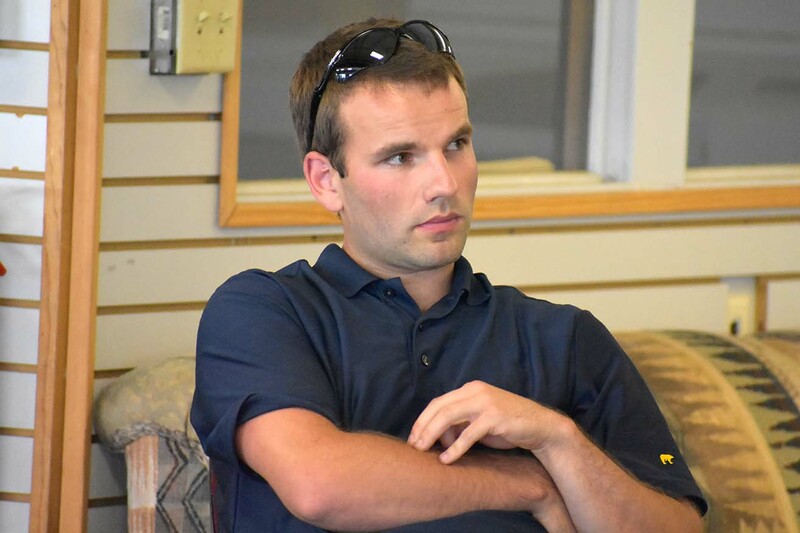 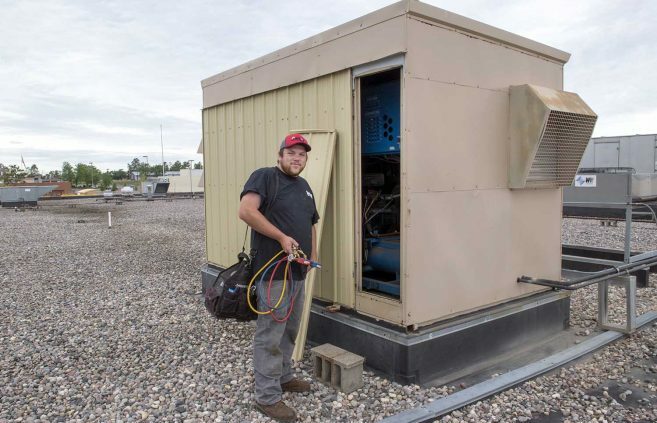 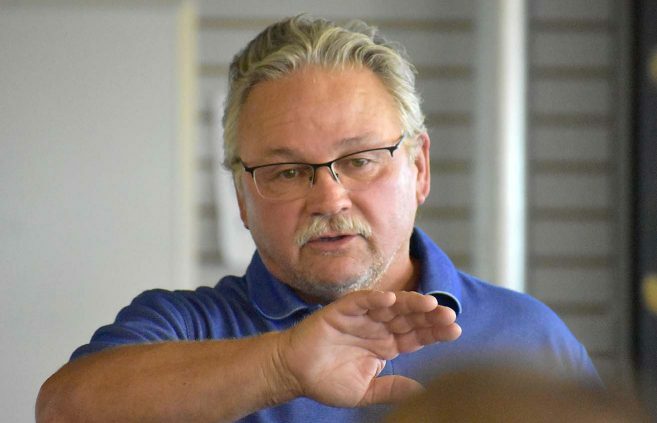 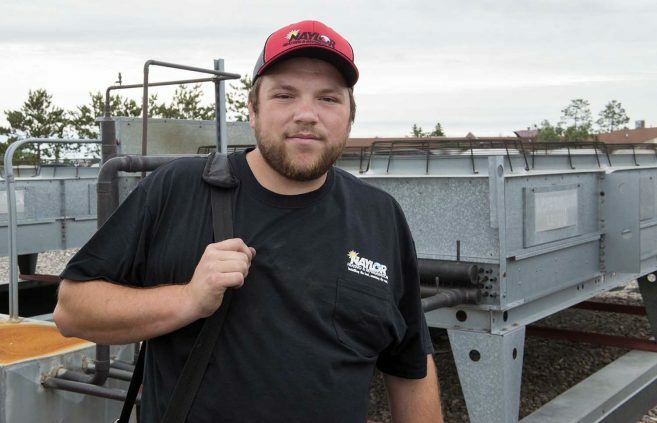 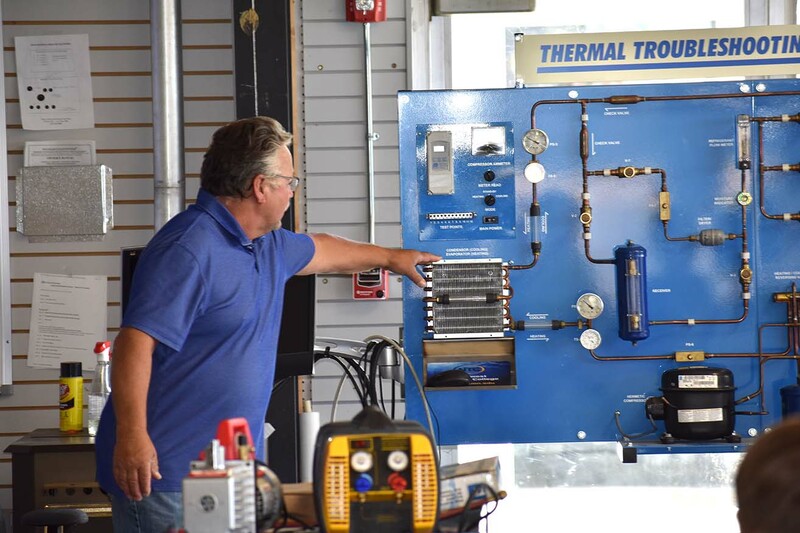 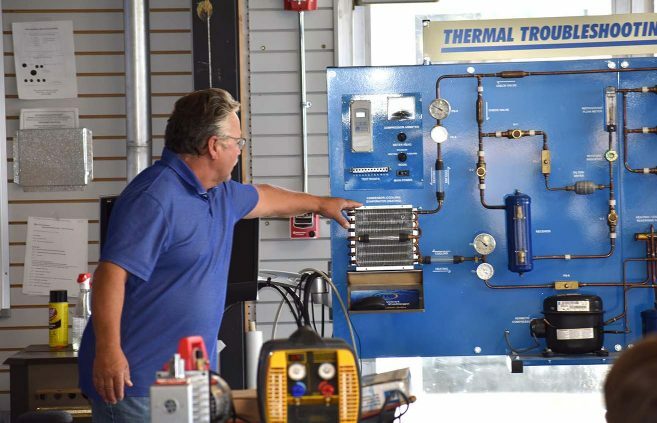 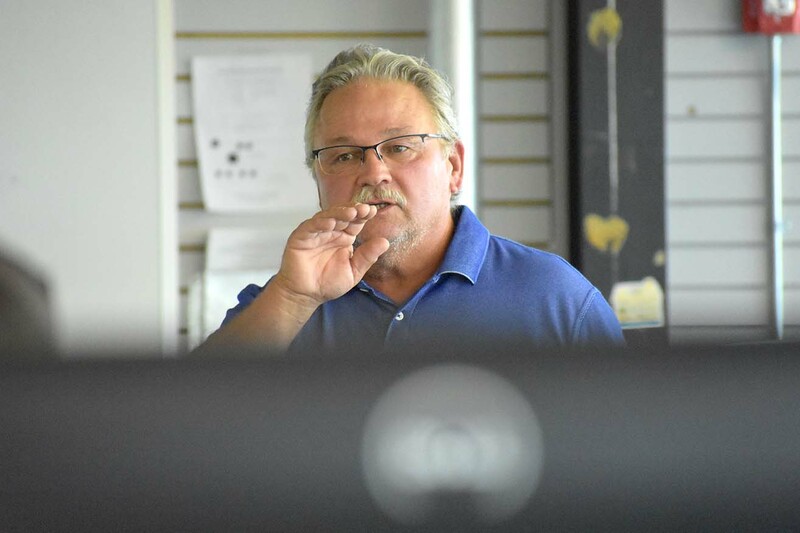 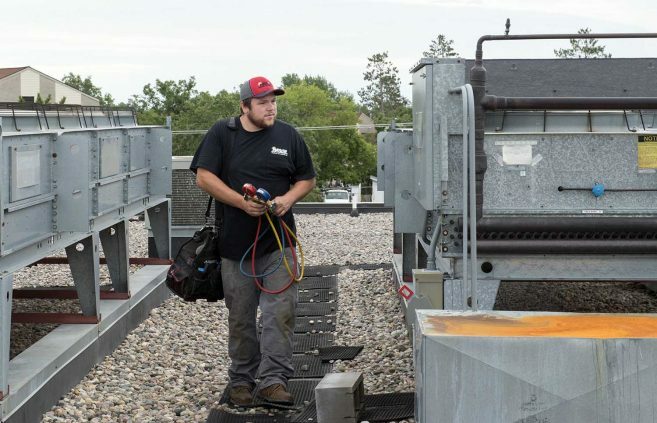 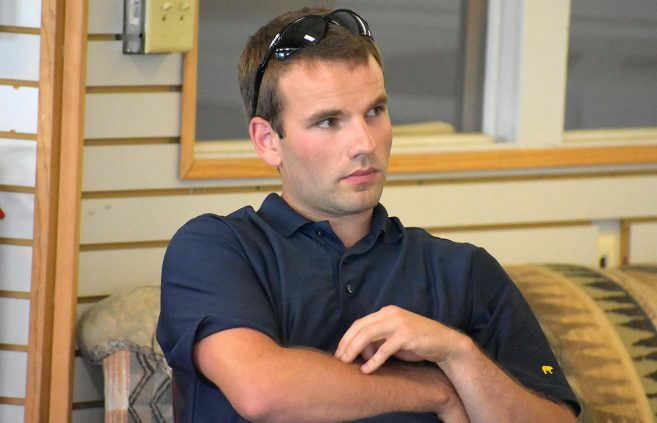 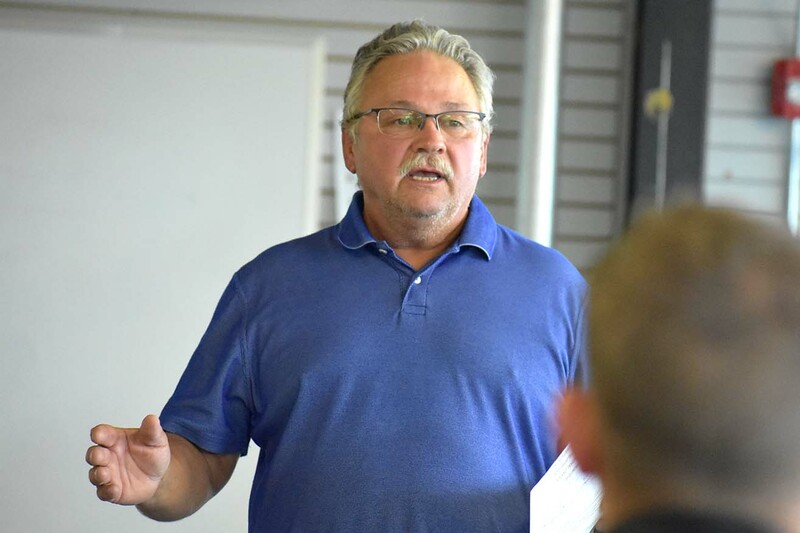 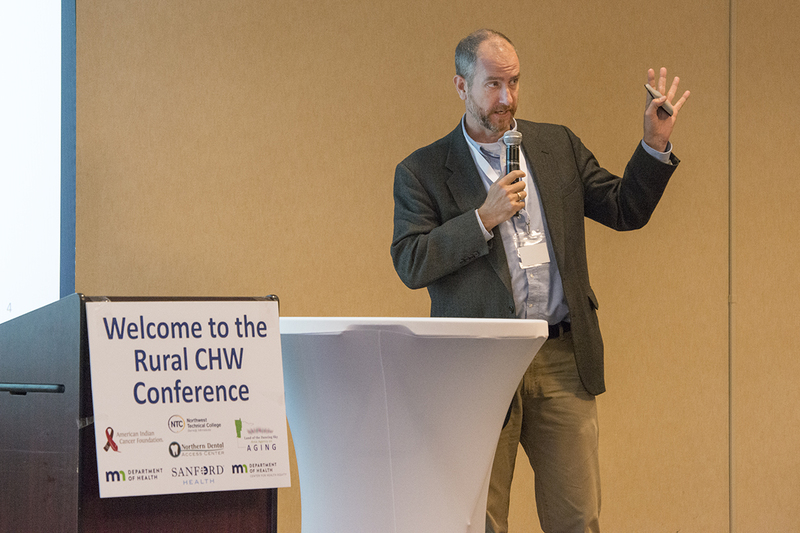 Jeff Brower, unlimited full-time faculty in plumbing, led an introduction to NTC’s new Commercial Refrigeration/HVAC program to more than a half-dozen prospective students July 23 at the college’s Sustainable Energy Technology Center. 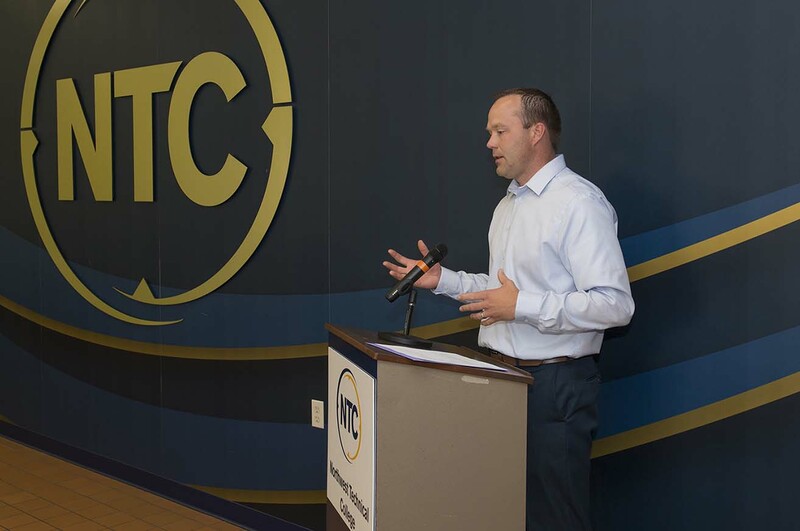 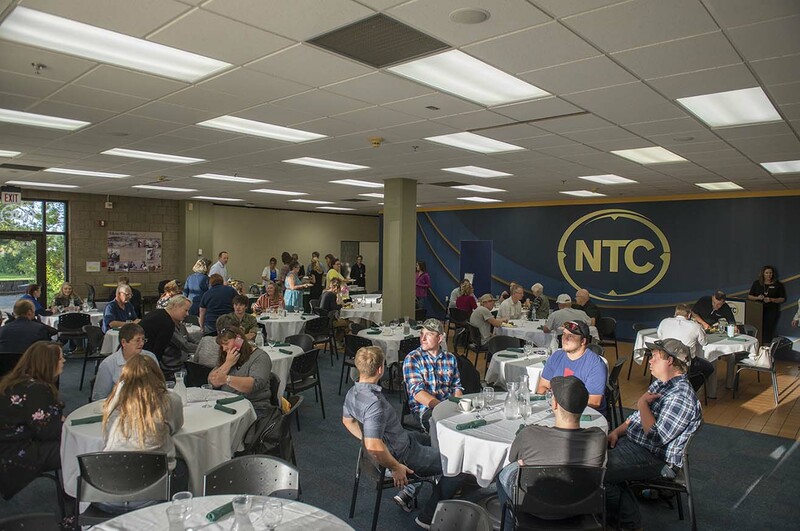 More than a half-dozen prospective students attended a presentation on NTC’s new Commercial Refrigeration/HVAC program July 23 at the college’s Sustainable Energy Technology Center. 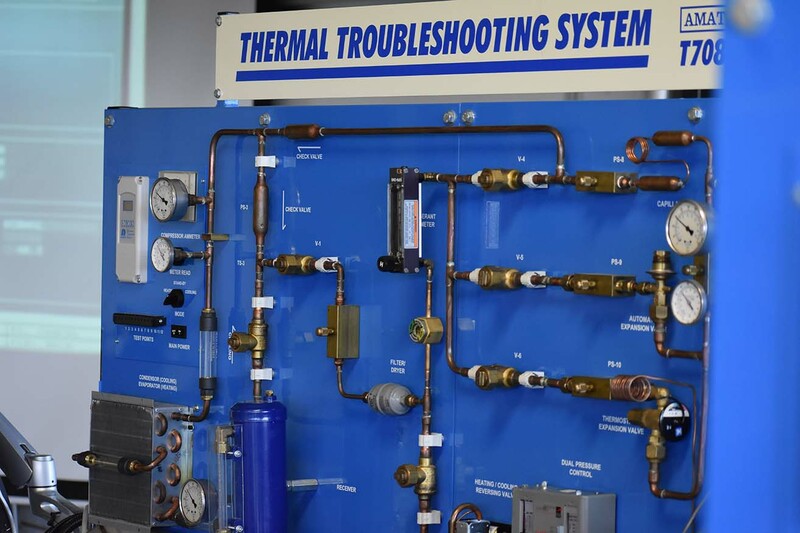 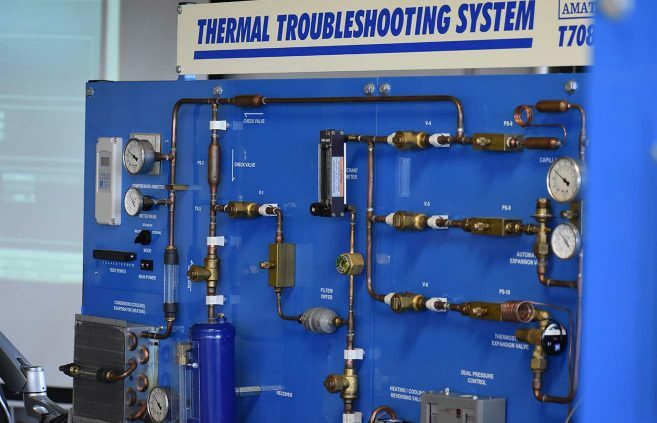 Thermal Troubleshooting System in NTC’s Sustainable Energy Technologies Center. 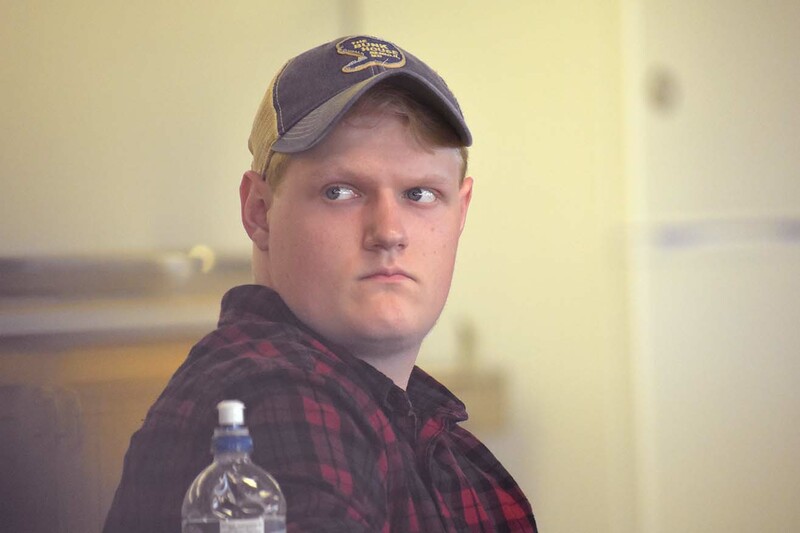 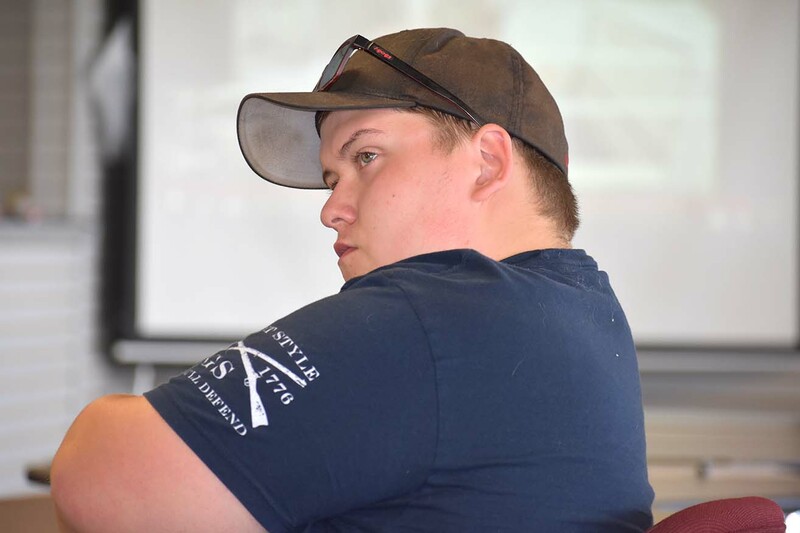 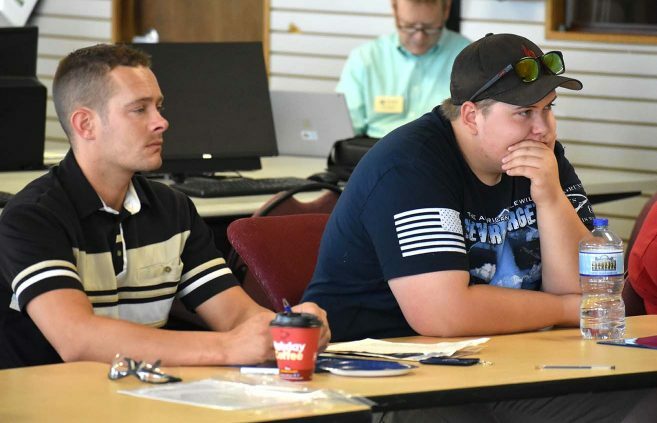 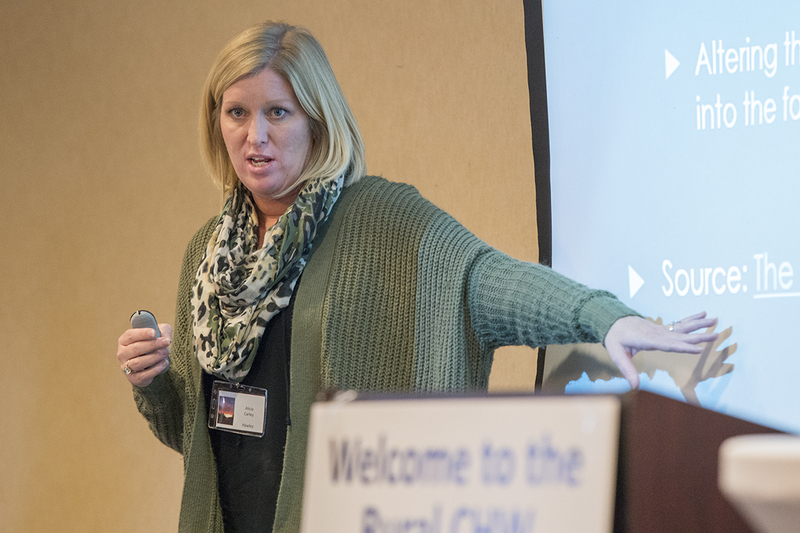 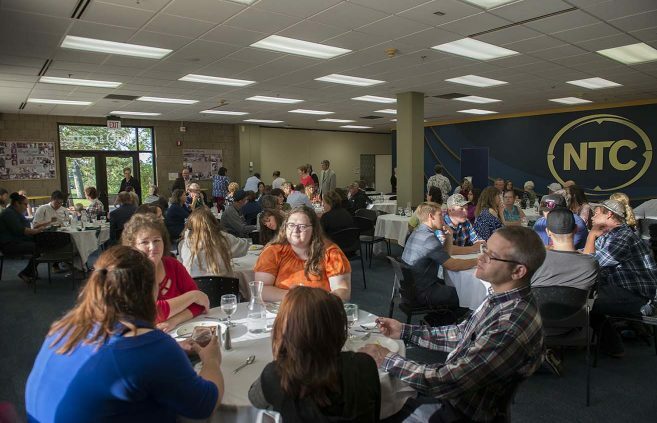 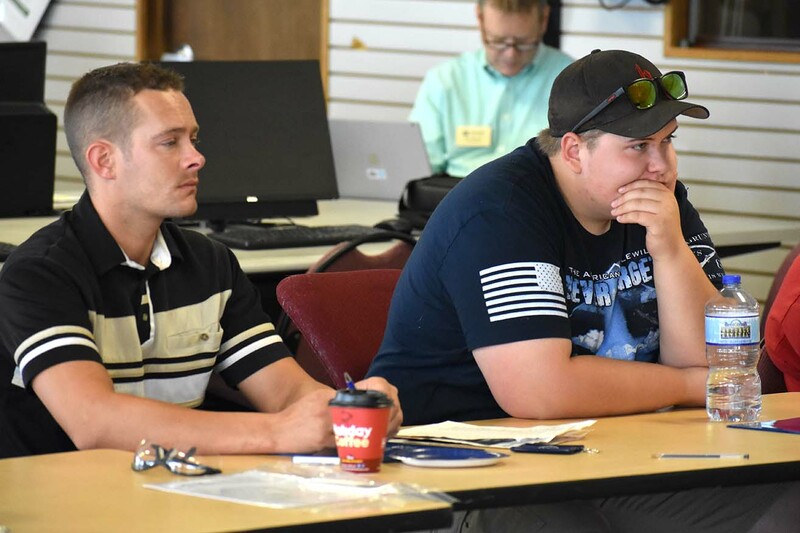 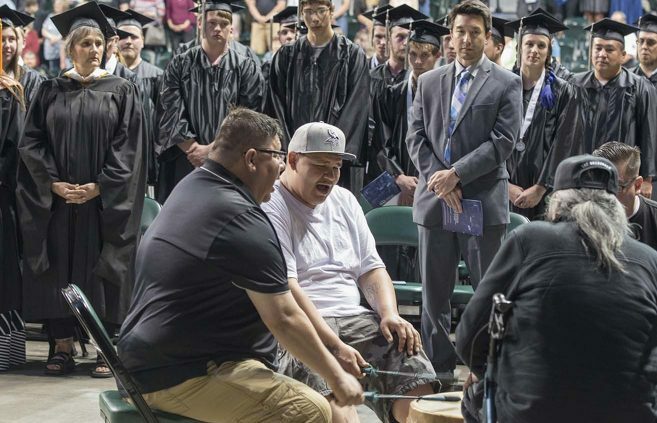 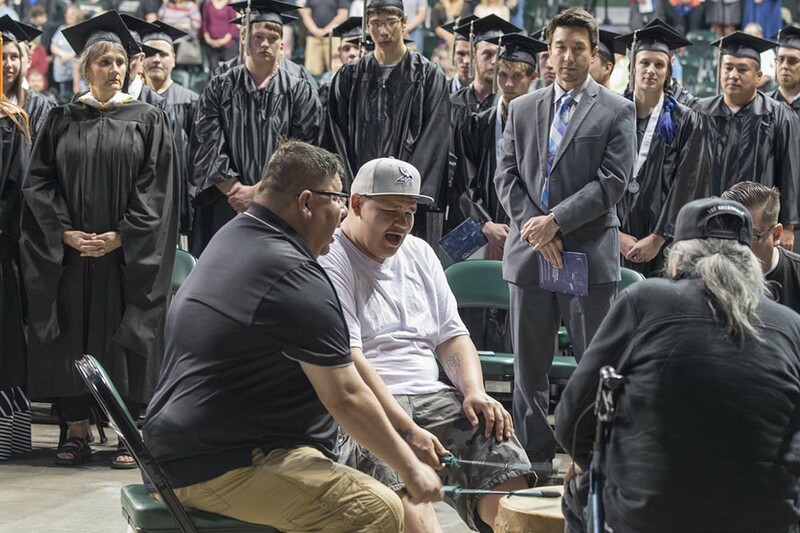 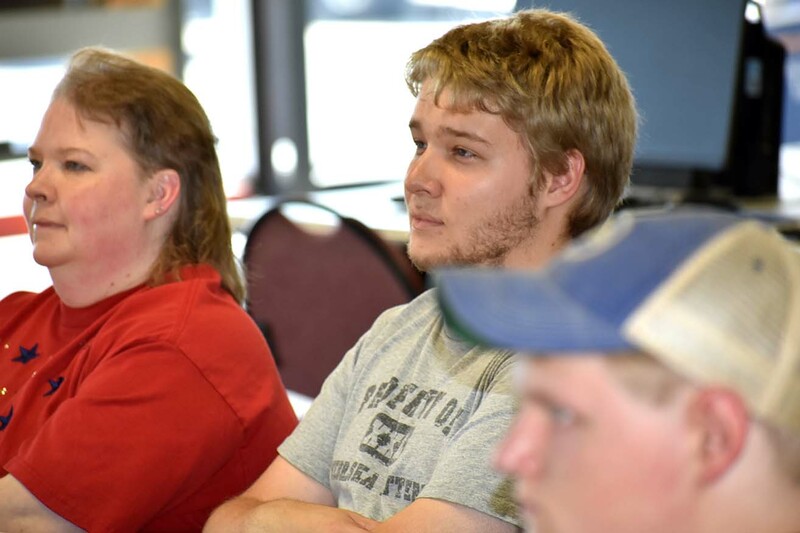 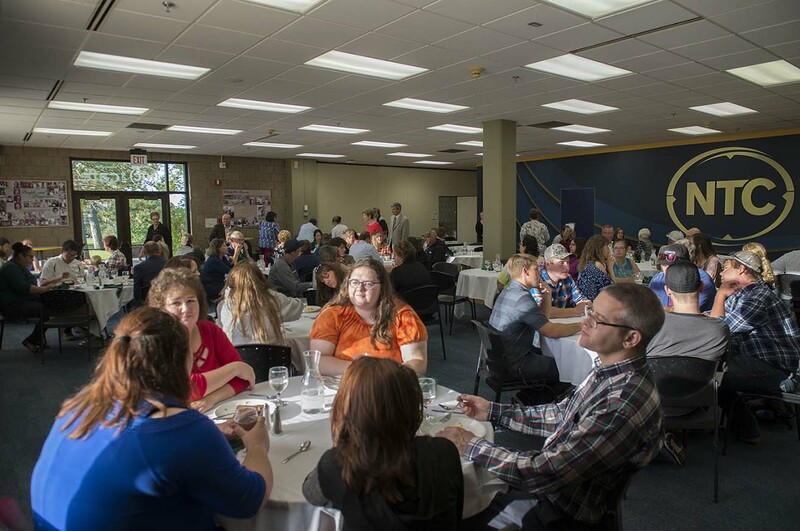 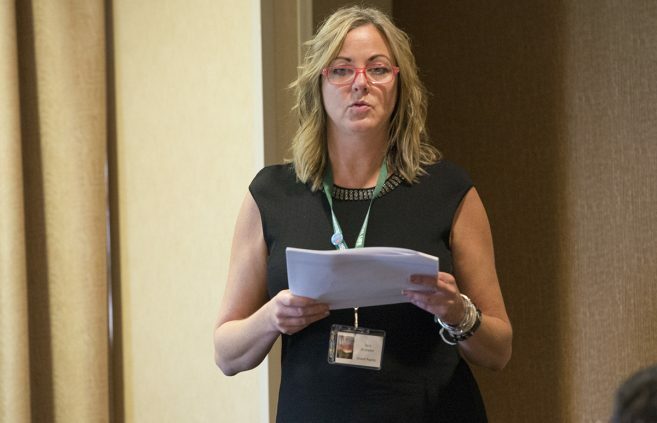 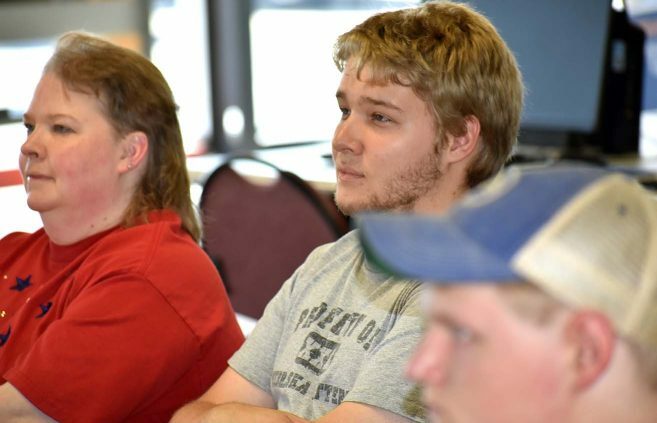 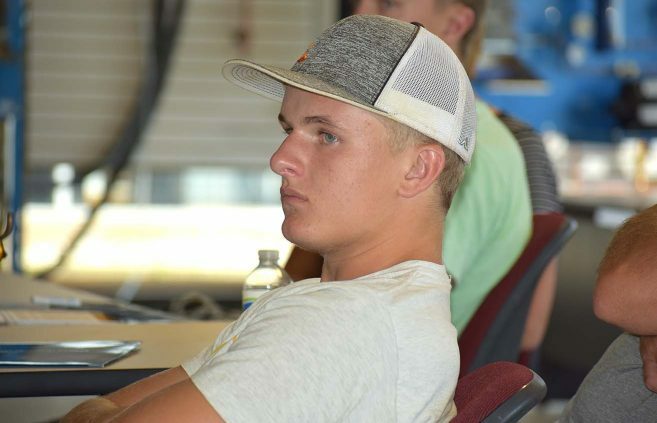 More than a half-dozen prospective students attended a July 23 open house to explore careers in the growing, high-tech field of commercial refrigeration and the college’s new Commercial Refrigeration/HVAC diploma program. 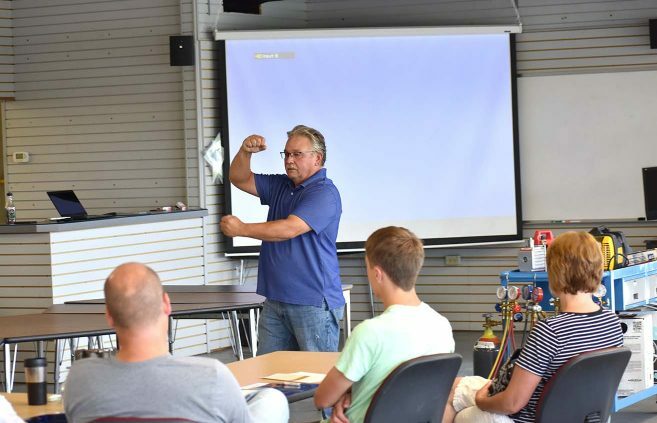 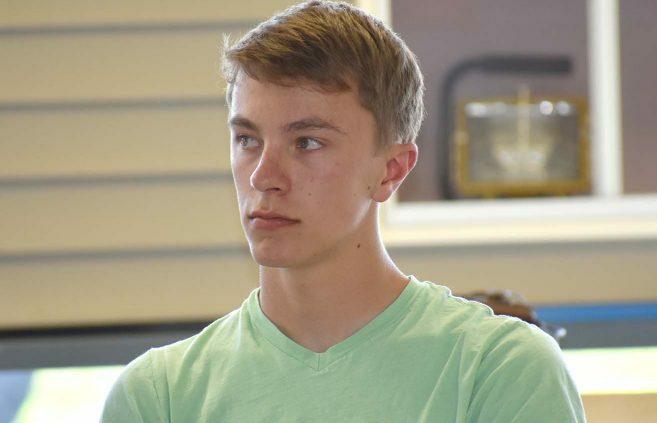 High school-aged students from across the state of Minnesota gathered at Northwest Technical College July 9-13 for a VEX Robotics Camp. Campers broke into four teams for a July 13 finale competition using Turning Point, a new VEX Robotics game for 2018. 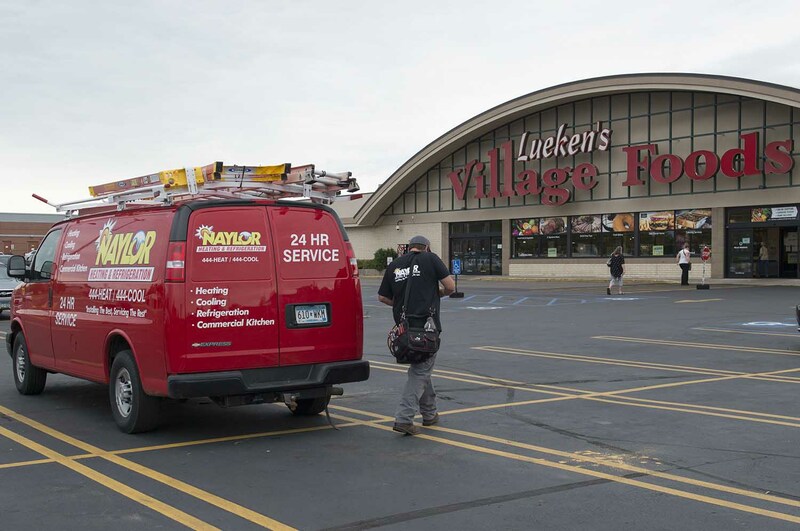 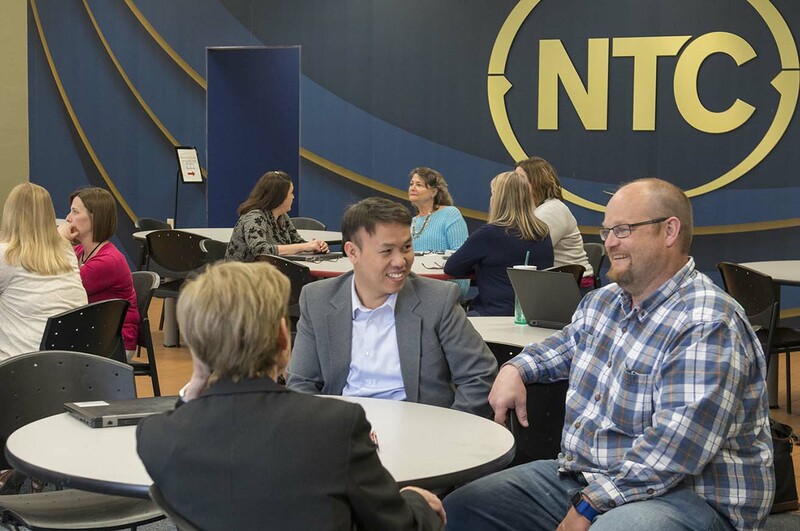 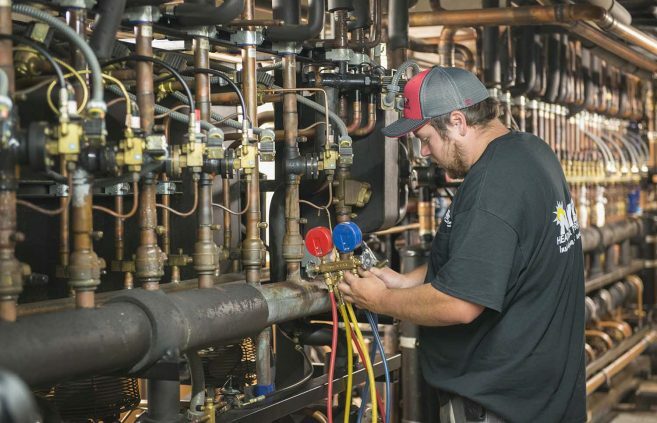 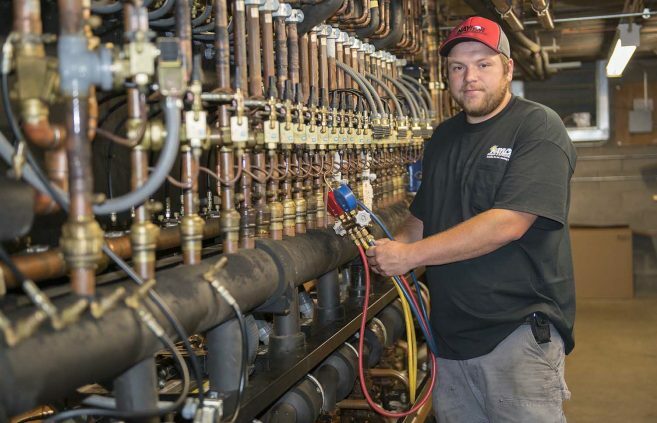 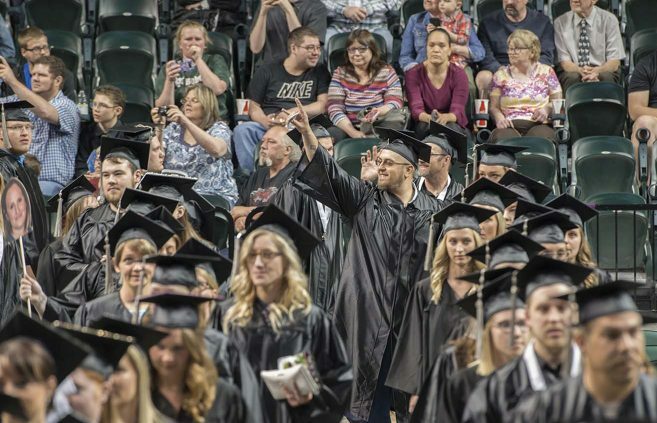 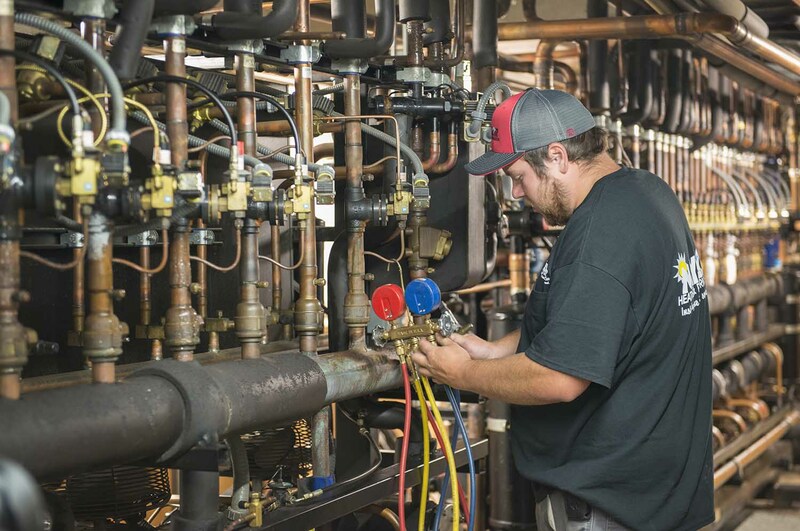 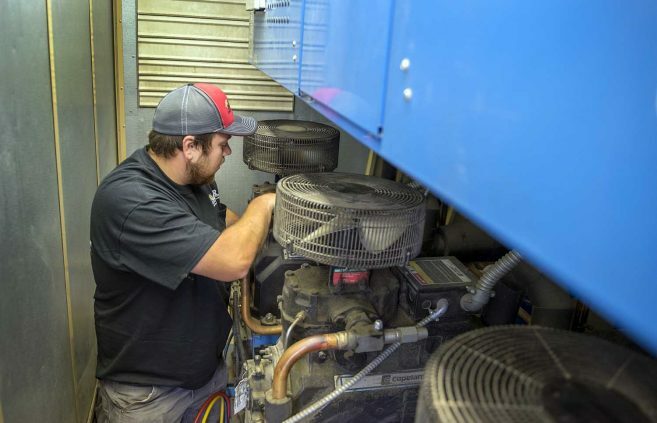 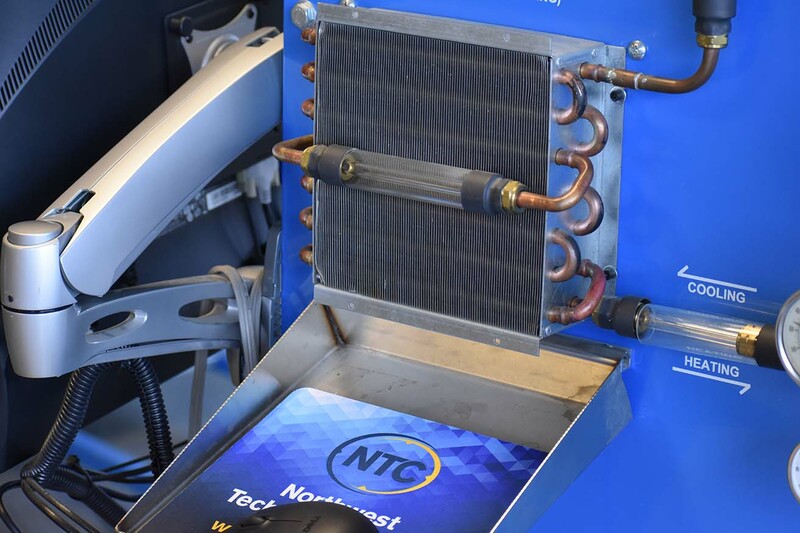 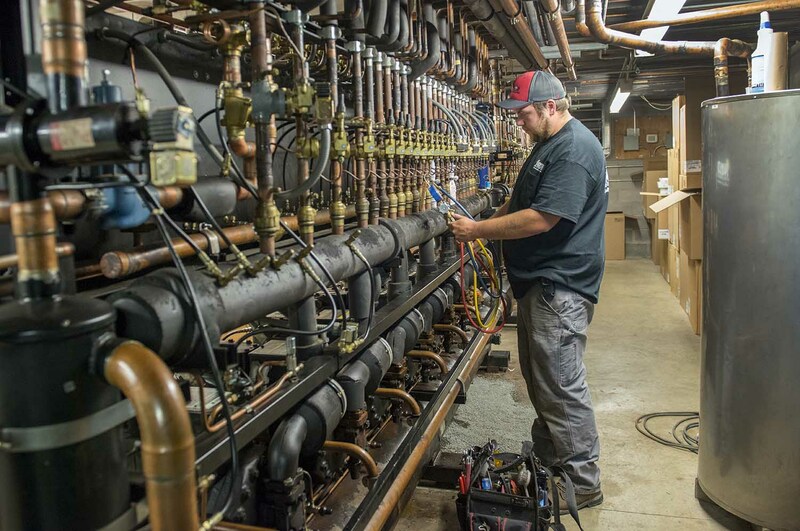 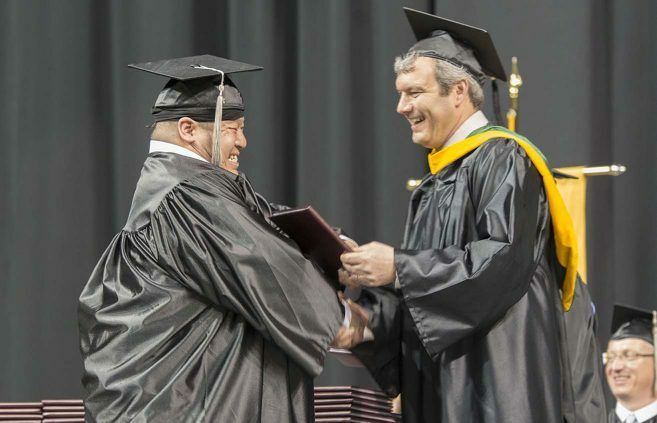 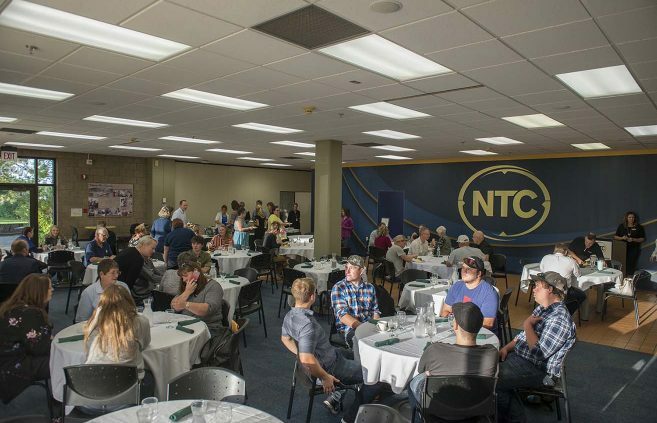 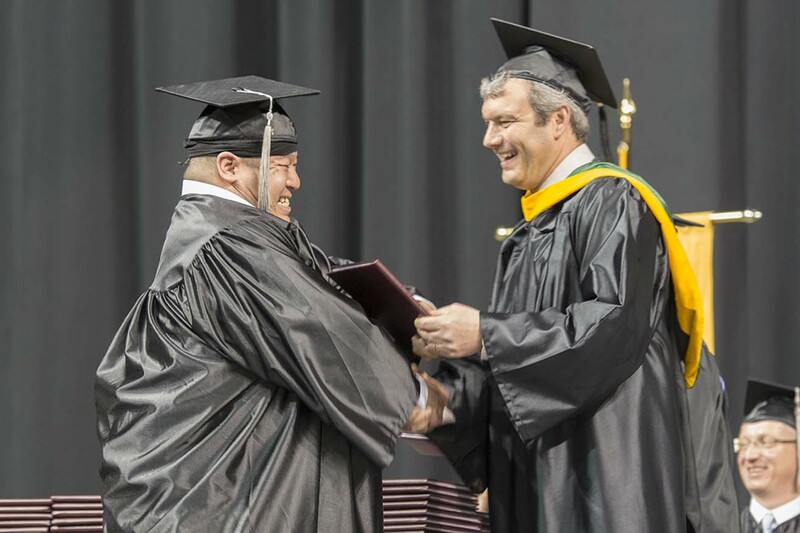 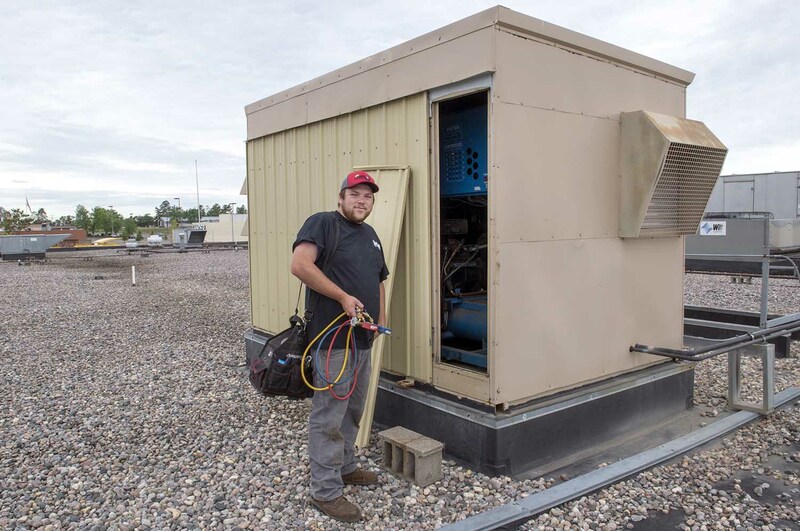 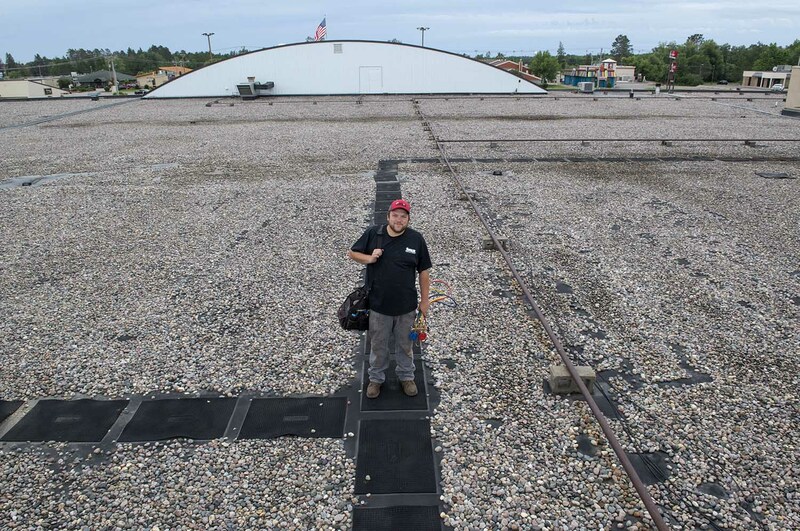 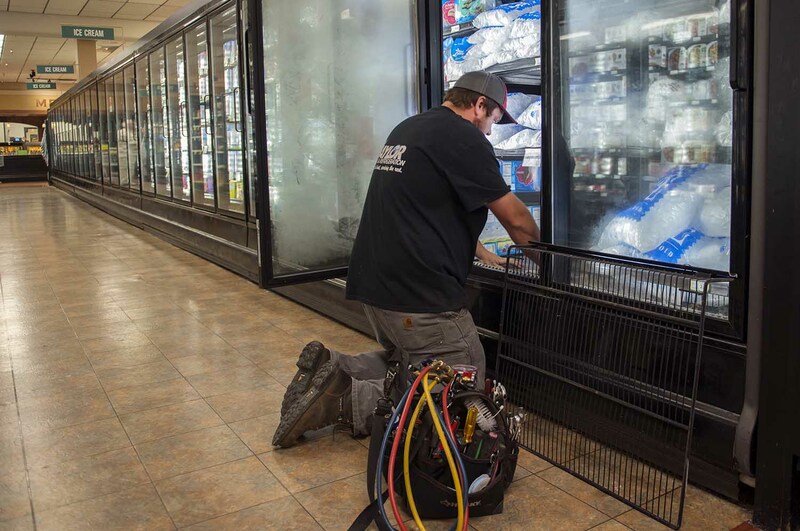 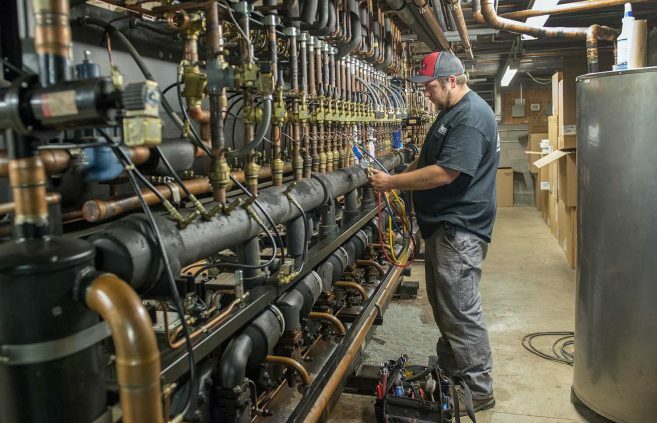 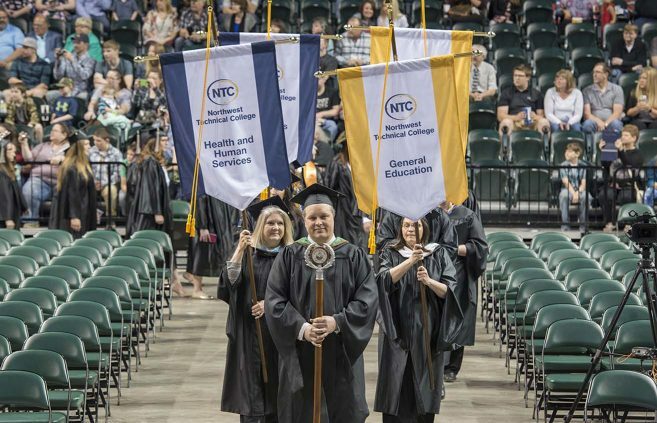 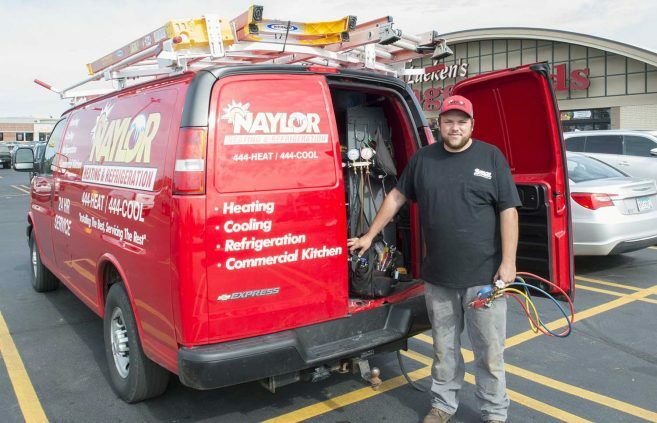 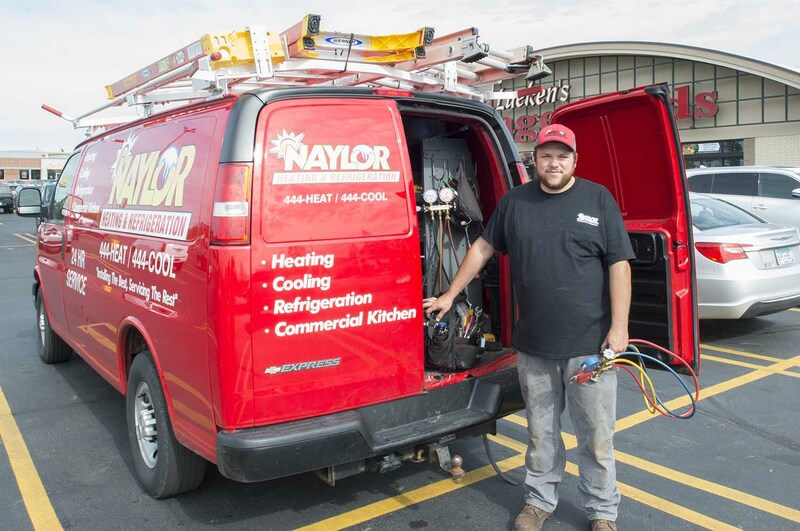 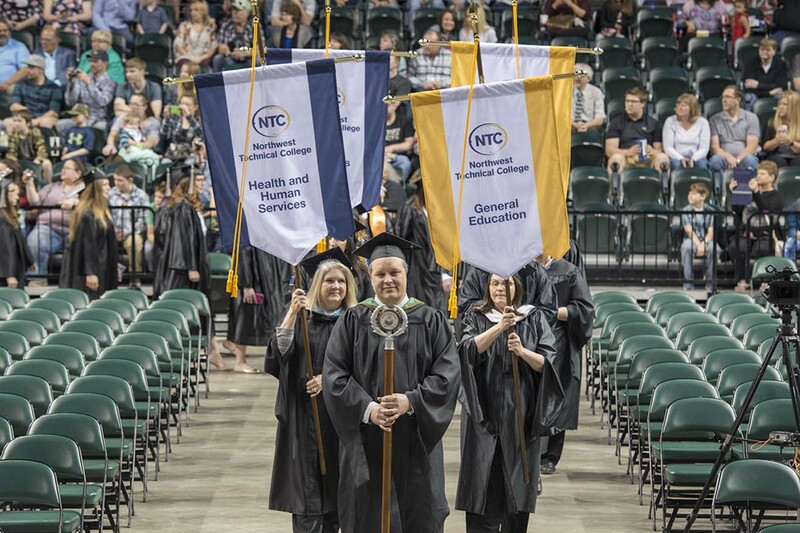 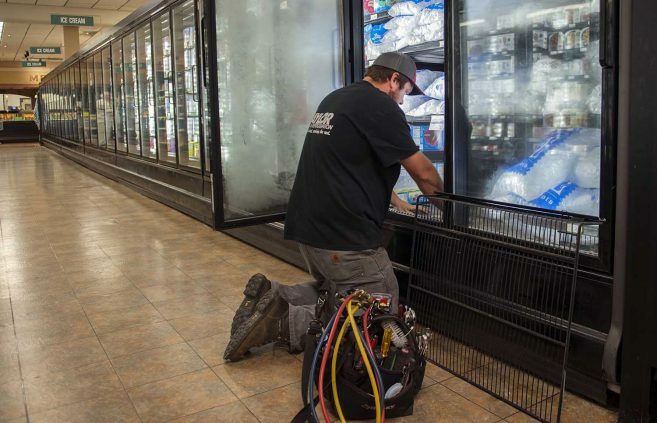 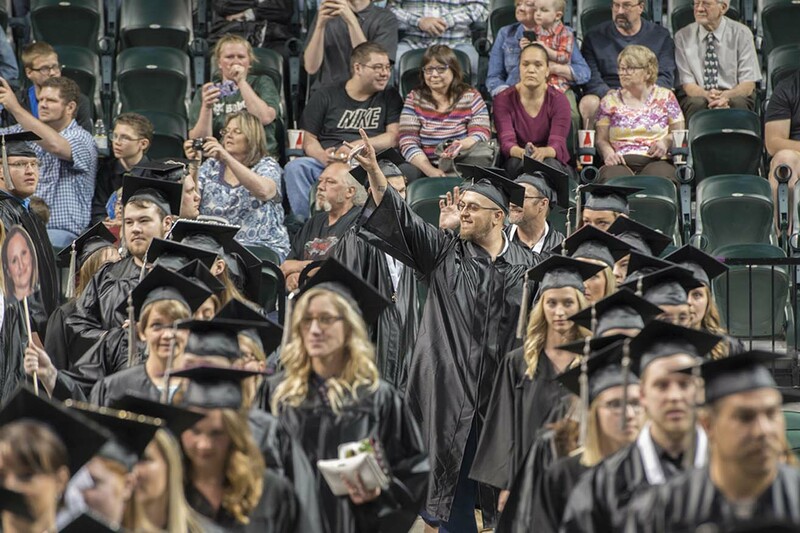 Northwest Technical College invites anyone interested in exploring careers in the growing, high-tech field of commercial refrigeration to a July 23 open house, where visitors can explore the college’s new Commercial Refrigeration/HVAC diploma program. 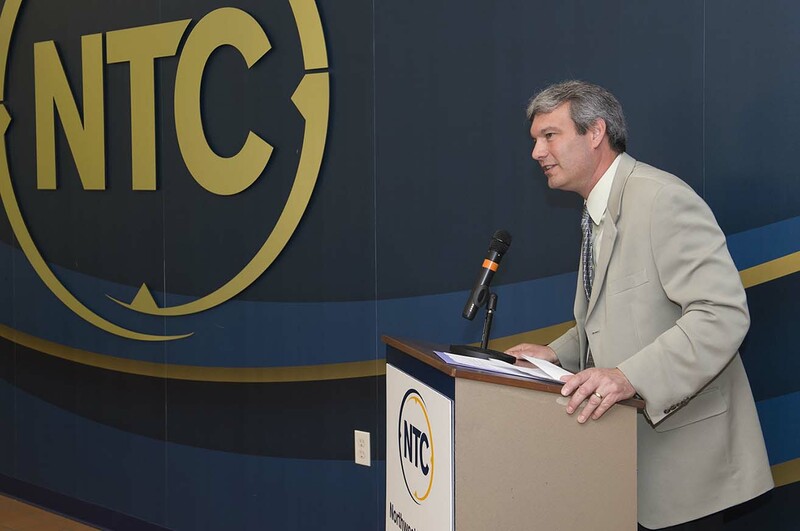 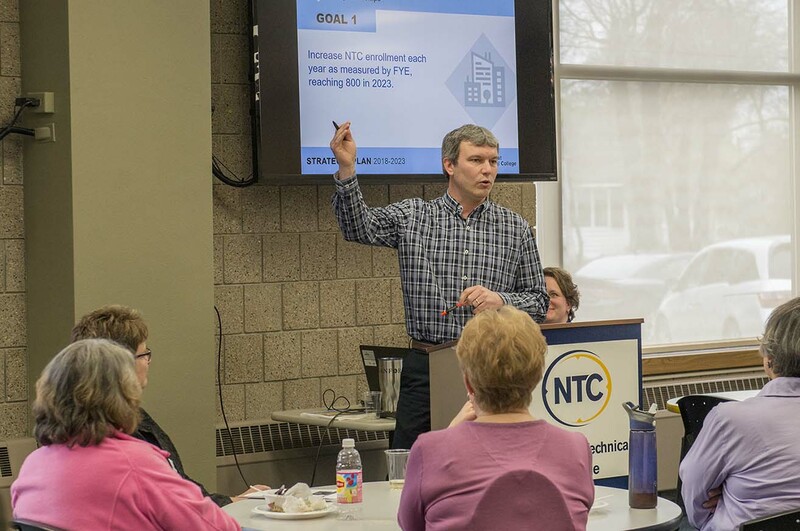 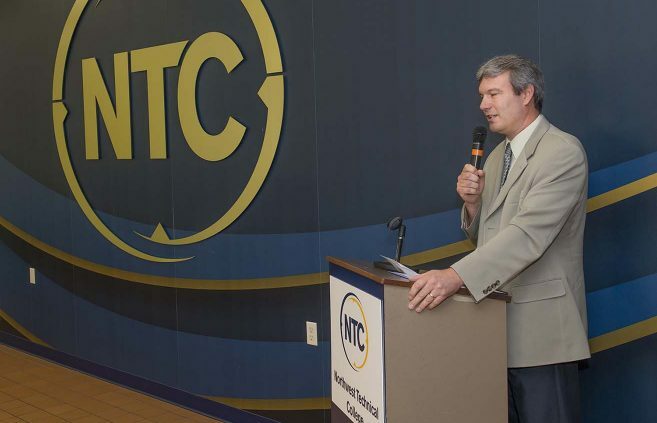 President Hensrud provides an overview of NTC’s Strategic Plan 2018-2023 at a May 9 presentation on campus. 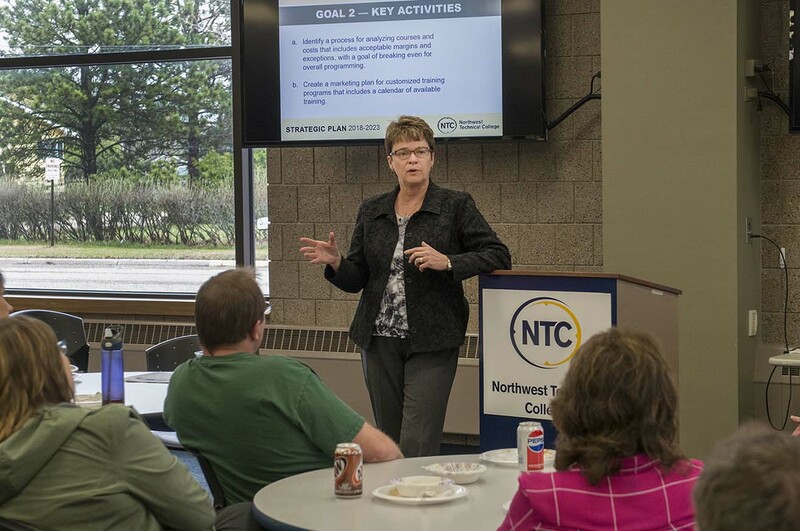 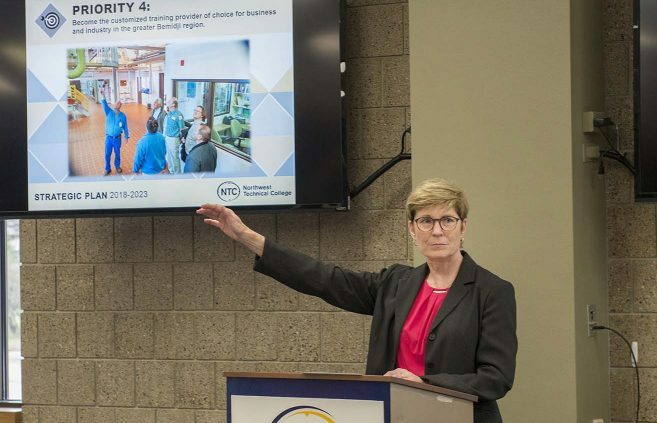 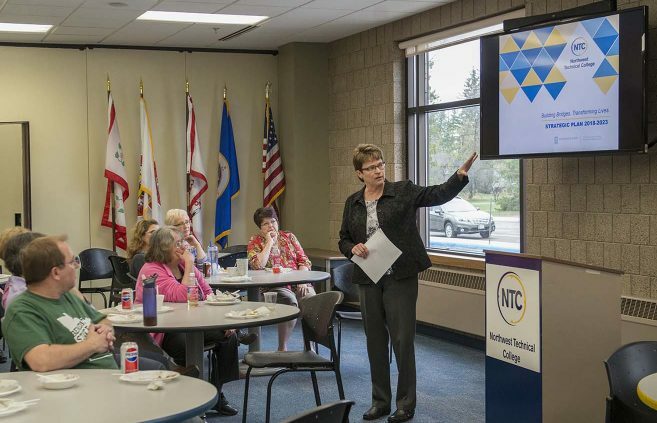 Karen Snorek, vice president for finance & administration, recaps Priority 1 of NTC’s Strategic Plan 2018-2023 at a May 9 presentation on campus. 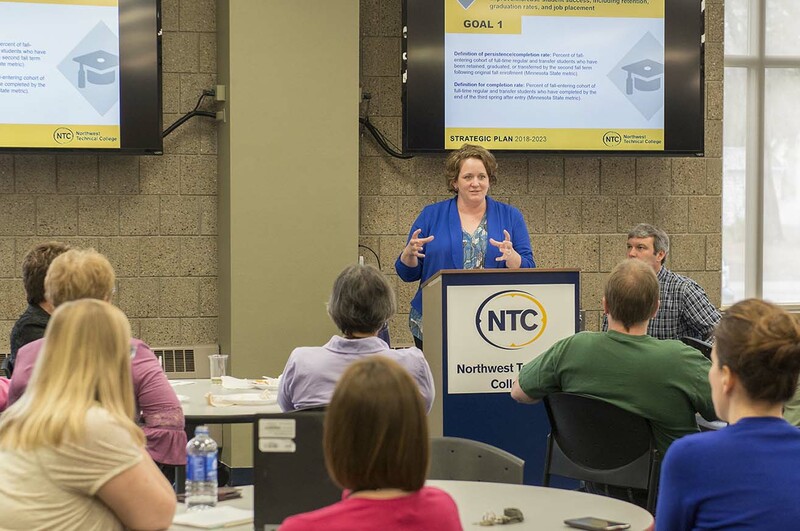 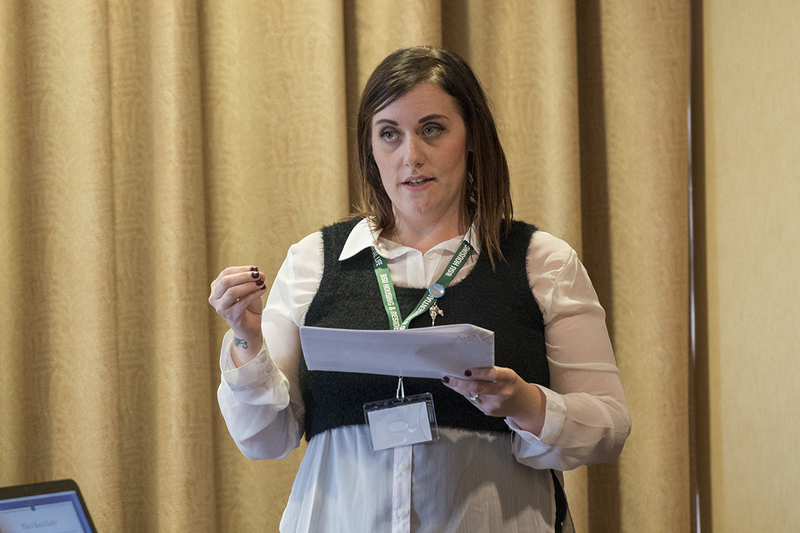 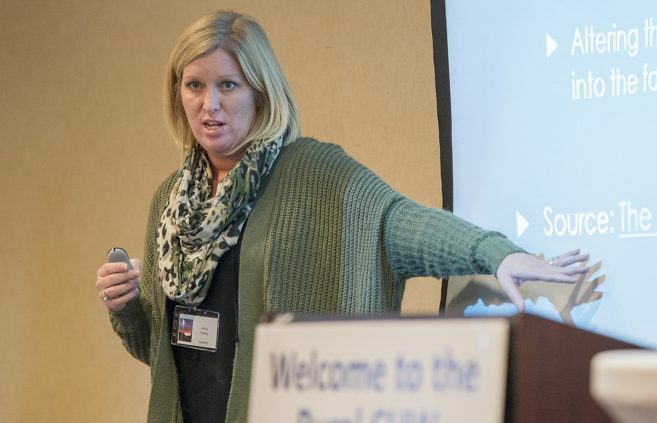 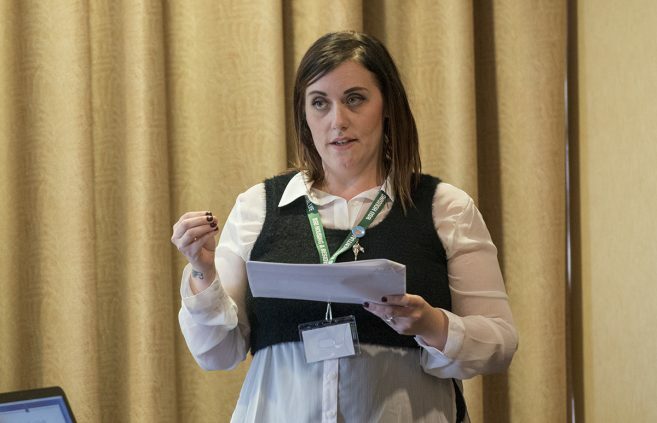 Michelle Frenzel, executive director of enrollment management, recaps Priority 2 of NTC’s Strategic Plan 2018-2023 at a May 9 presentation on campus. 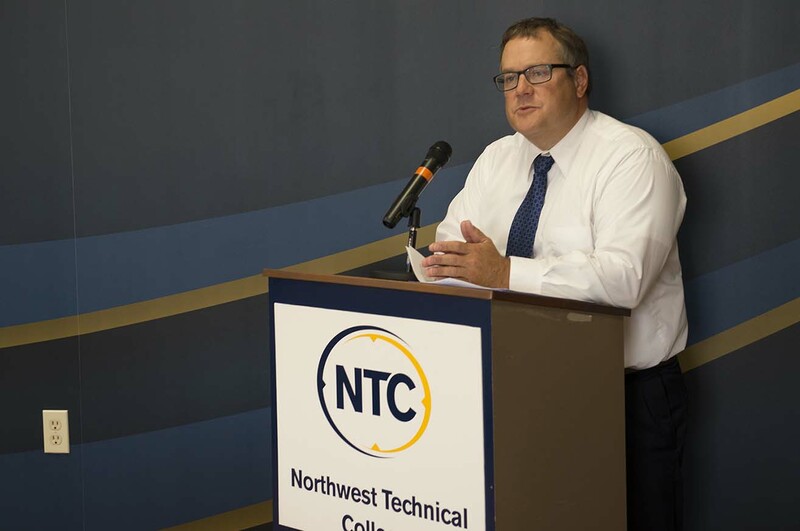 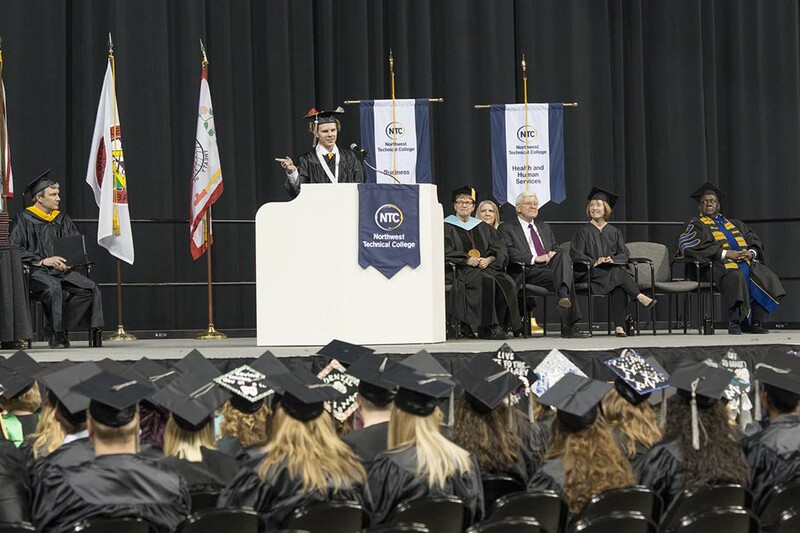 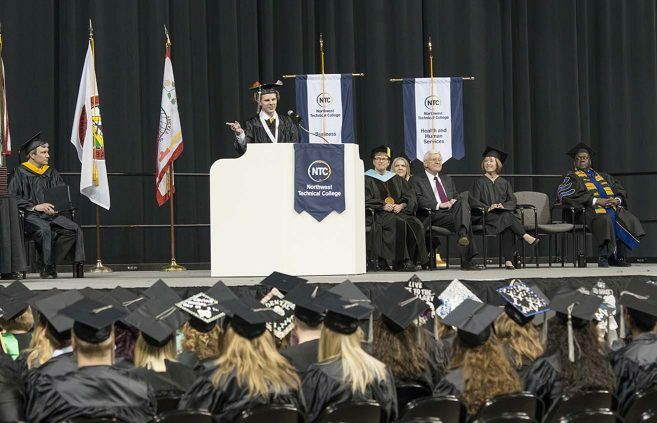 Darrin Strosahl, vice president of academic & student affairs, recaps Priority 3 of NTC’s Strategic Plan 2018-2023 at a May 9 presentation on campus. 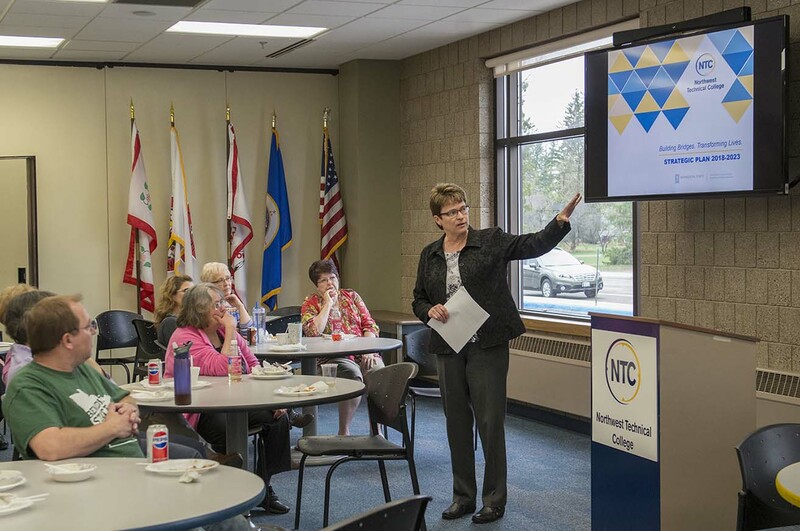 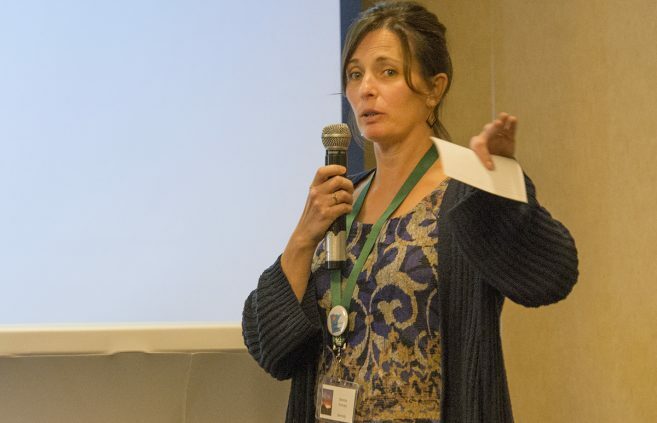 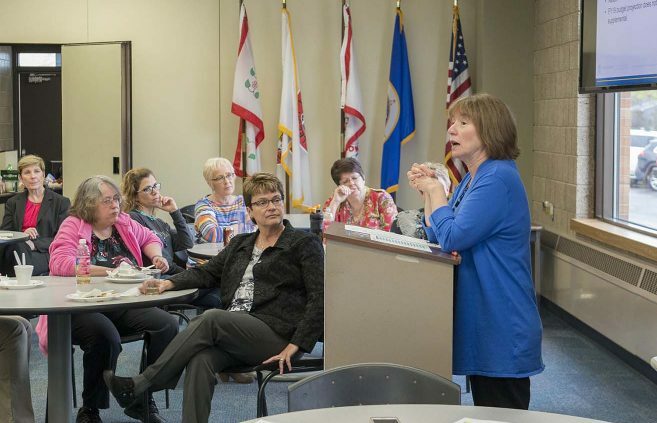 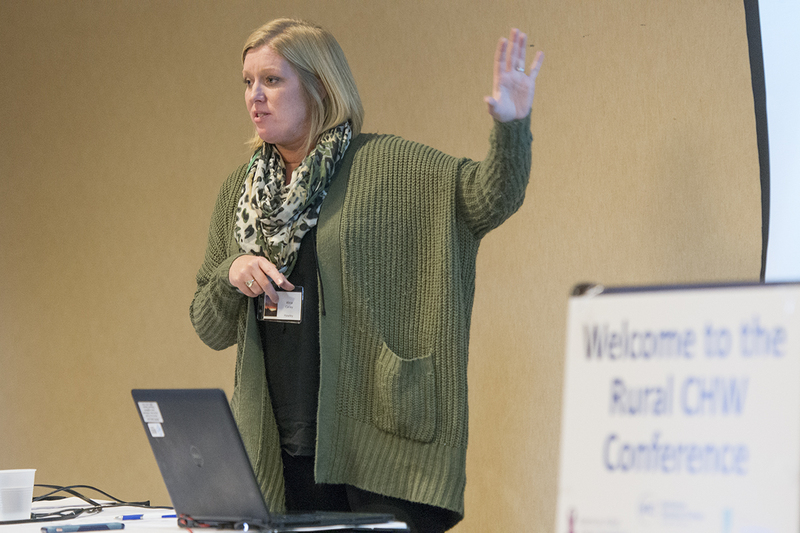 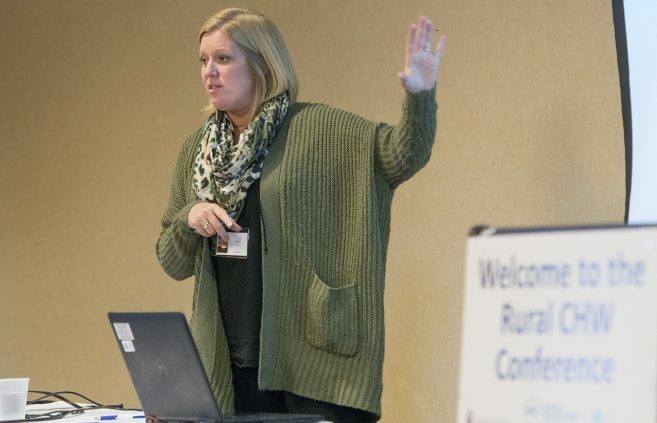 Michelle Brielmaier, director of nursing & health services, recaps Priority 4 of NTC’s Strategic Plan 2018-2023 at a May 9 presentation on campus. 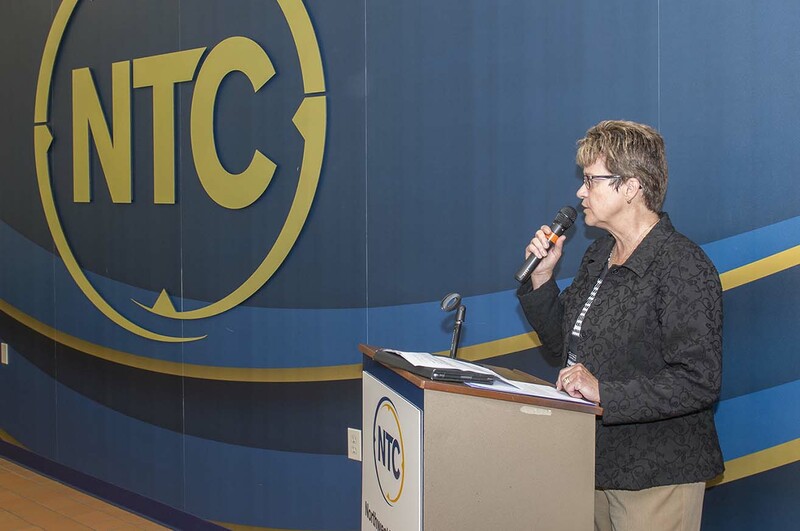 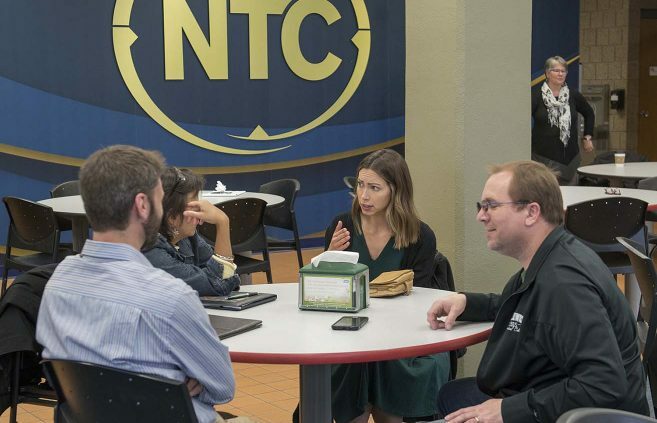 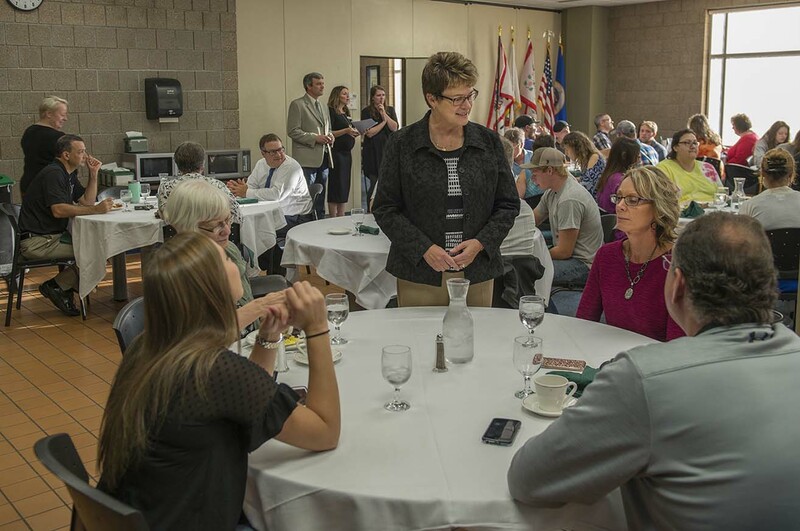 President Hensrud takes questions following the unveiling of NTC’s Strategic Plan 2018-2023 at a May 9 presentation on campus. 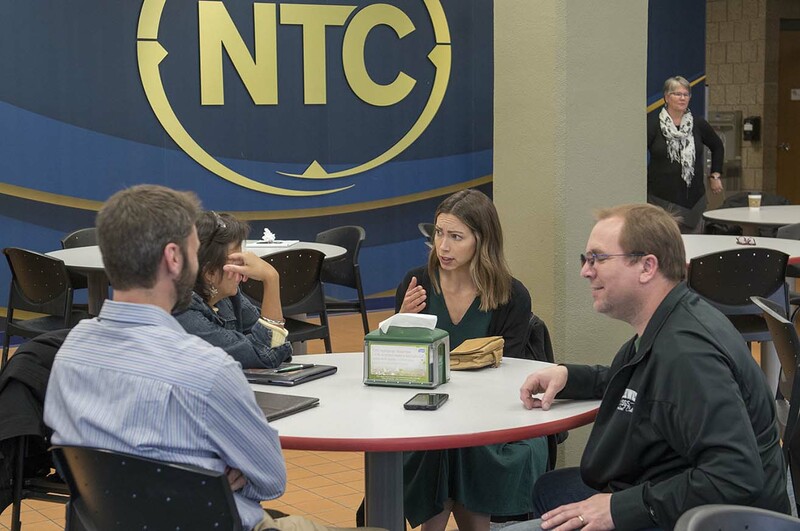 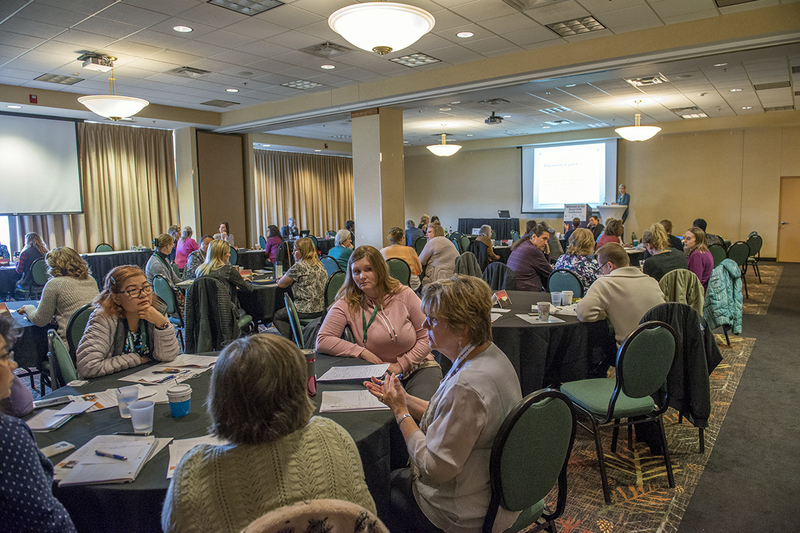 Faculty, staff and administrators in attendance at the May 9 unveiling of NTC’s 2018-2023 strategic plan. 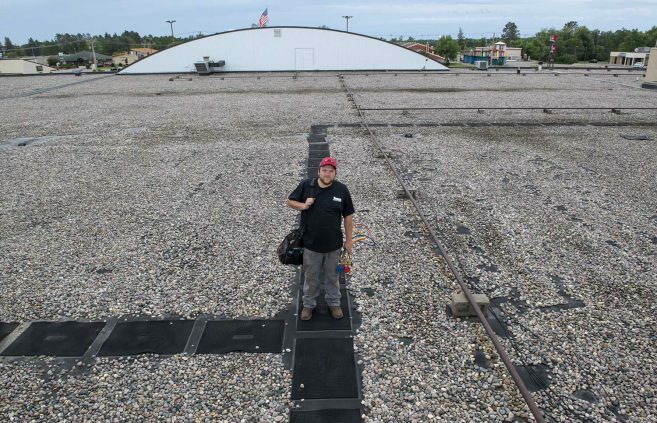 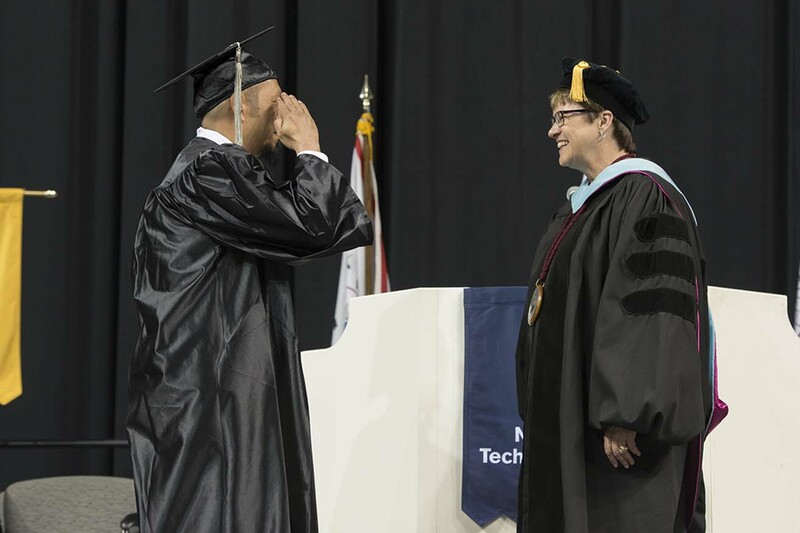 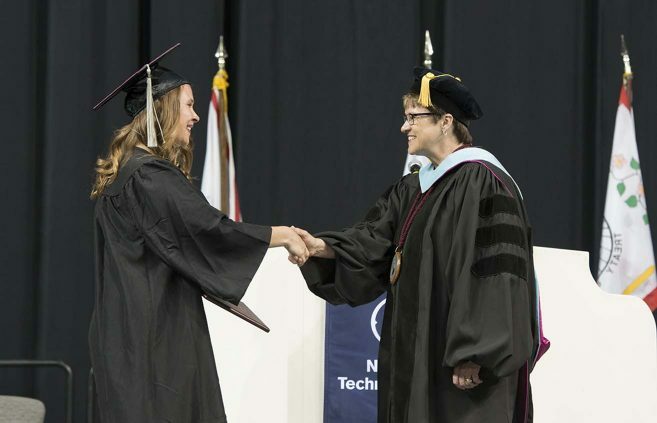 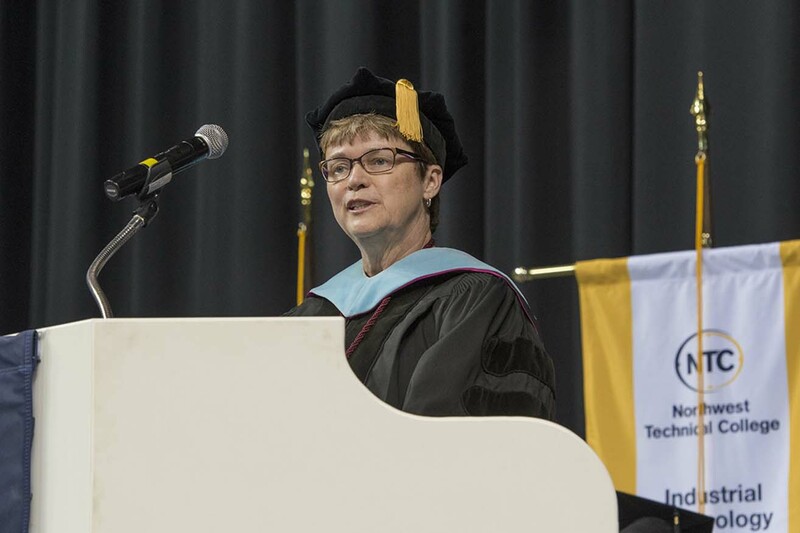 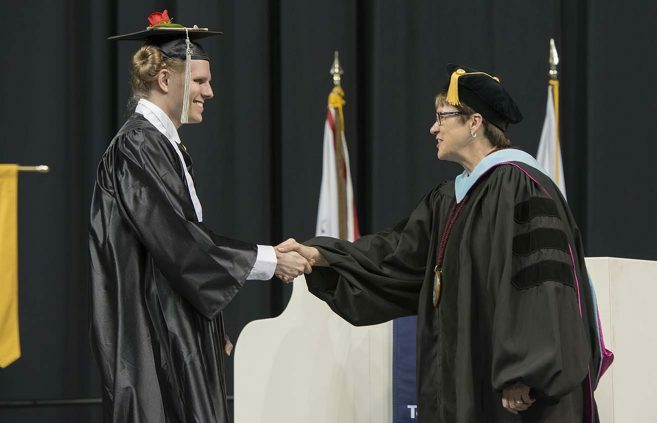 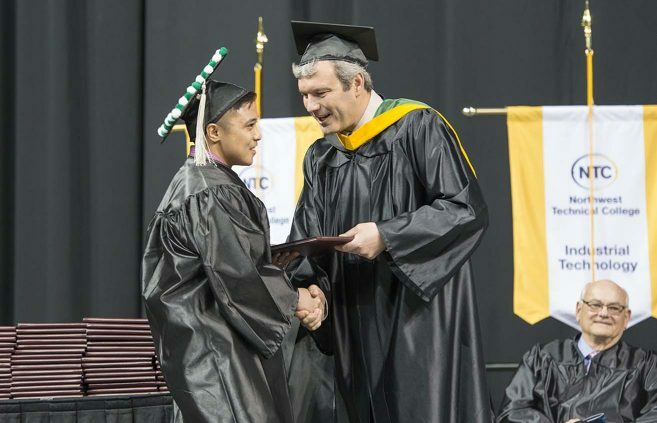 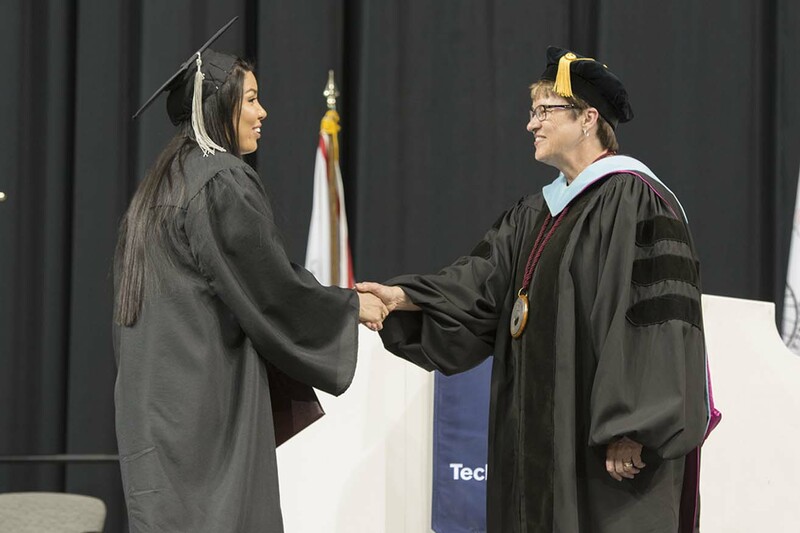 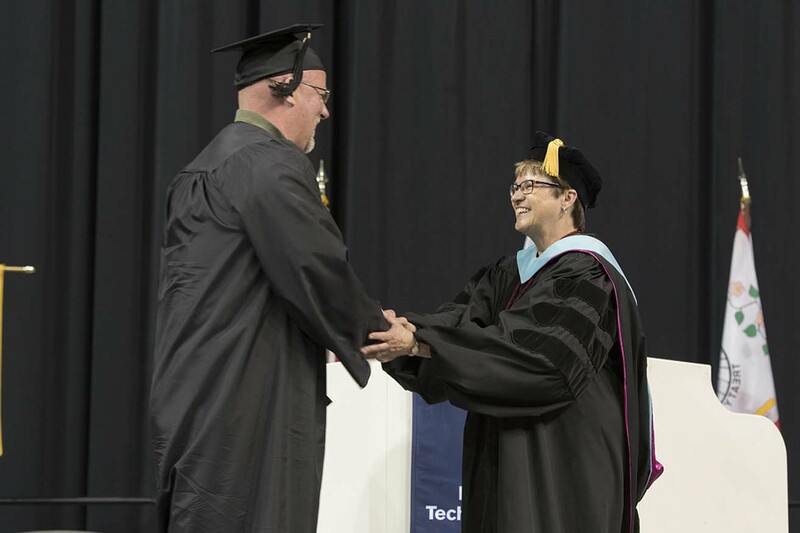 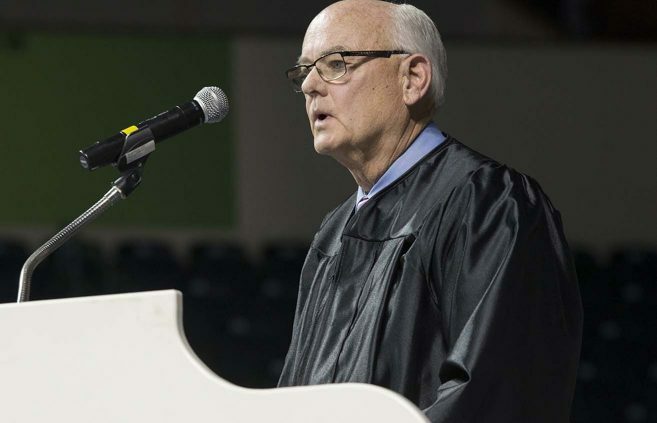 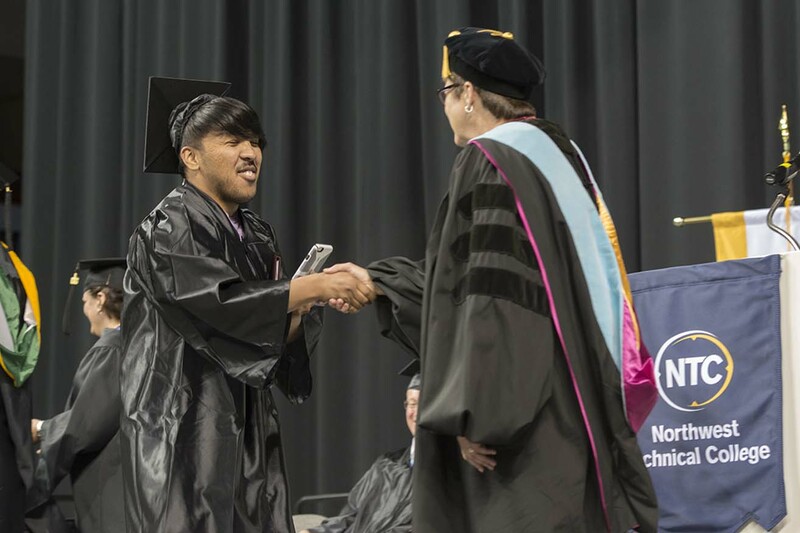 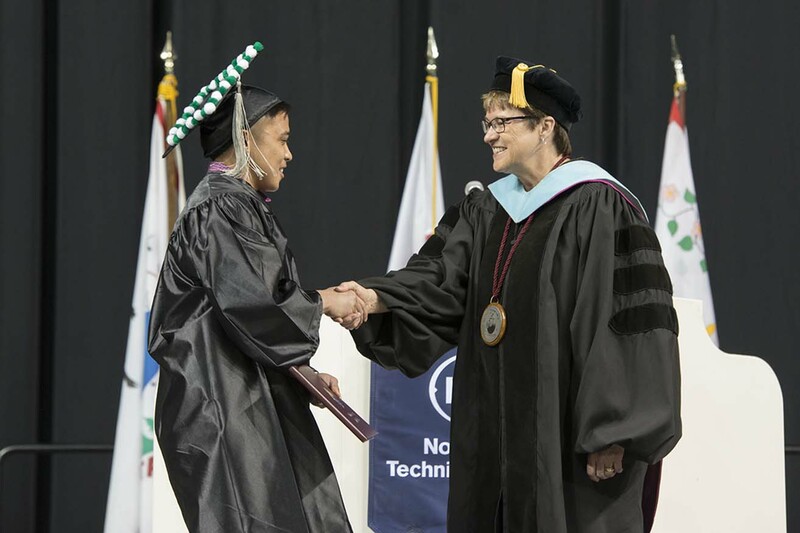 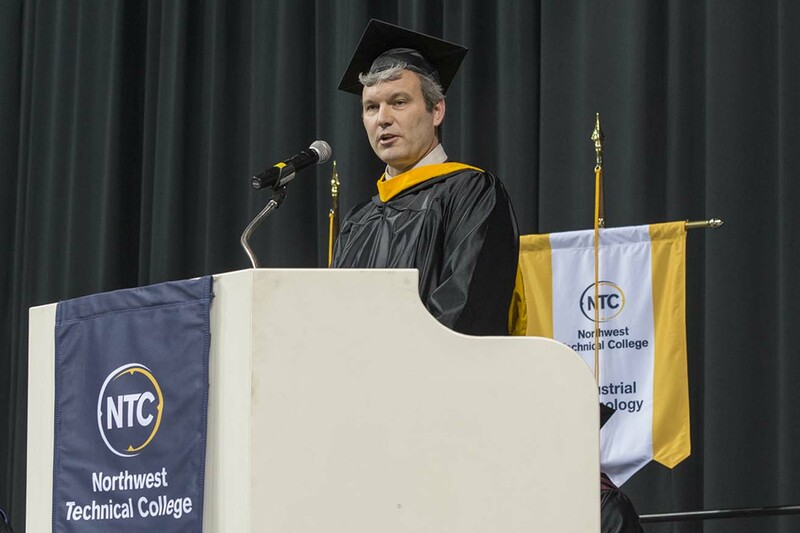 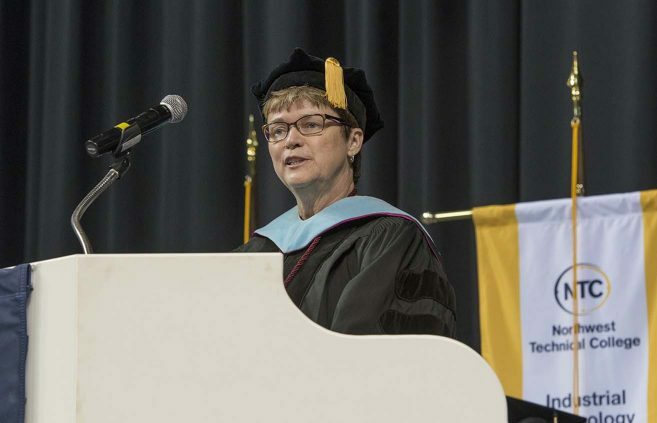 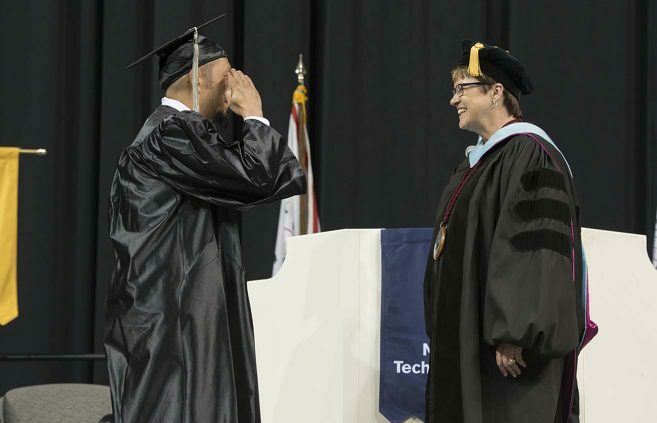 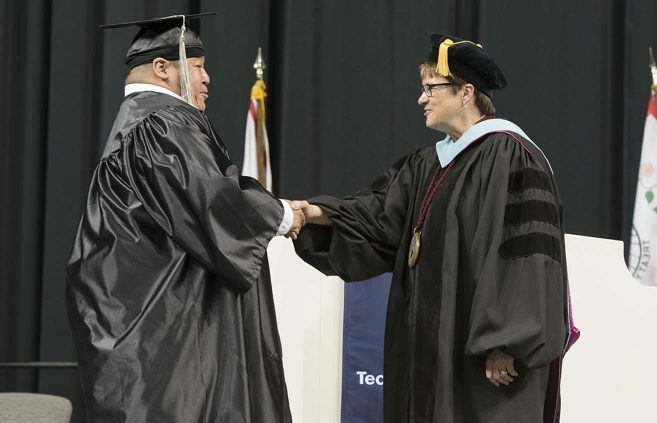 Northwest Technical College President Dr. 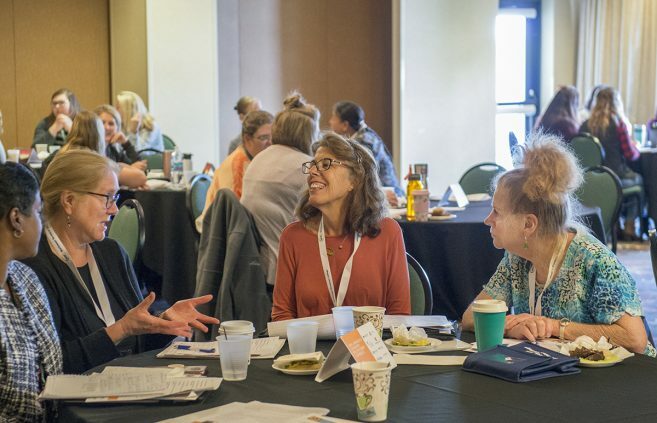 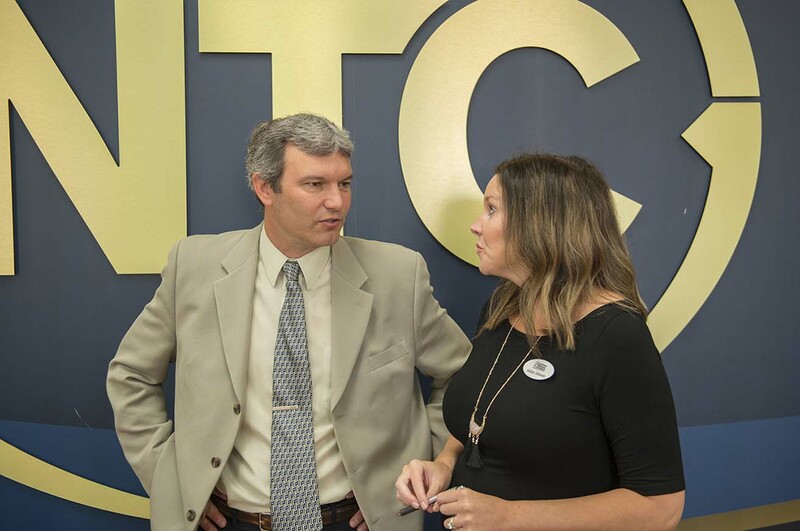 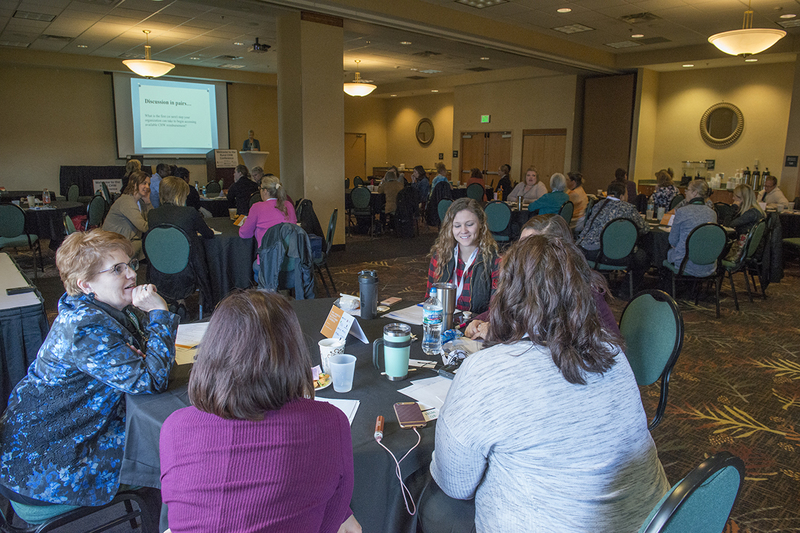 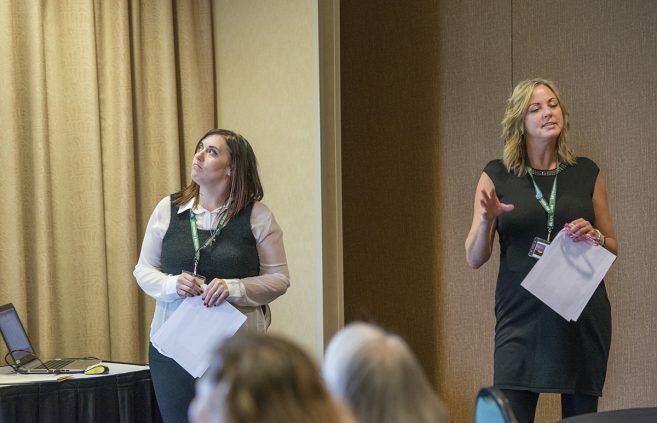 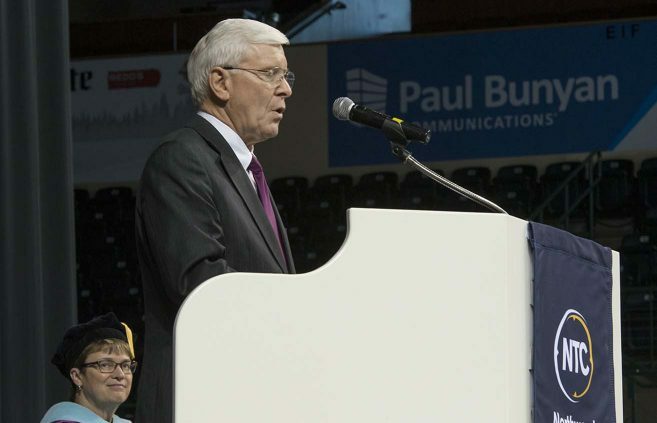 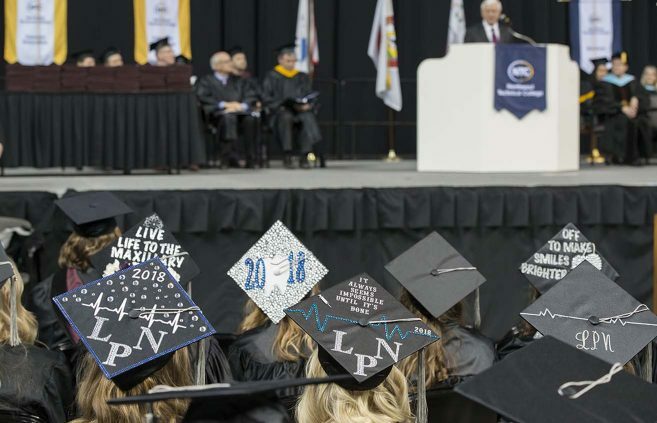 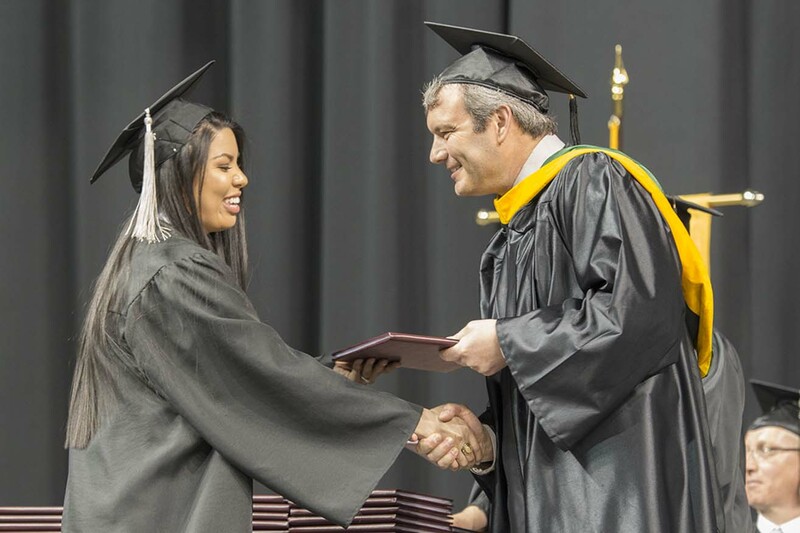 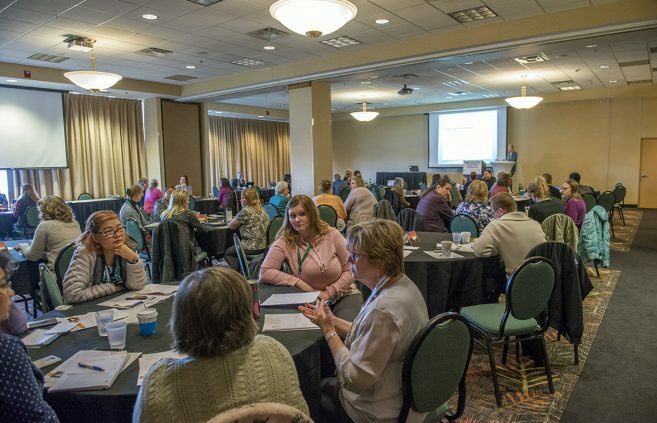 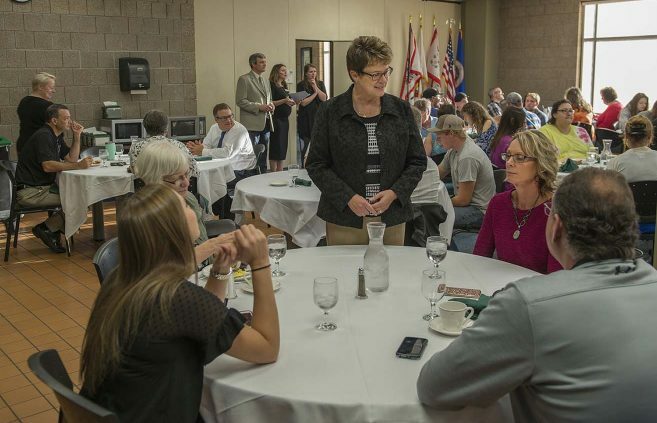 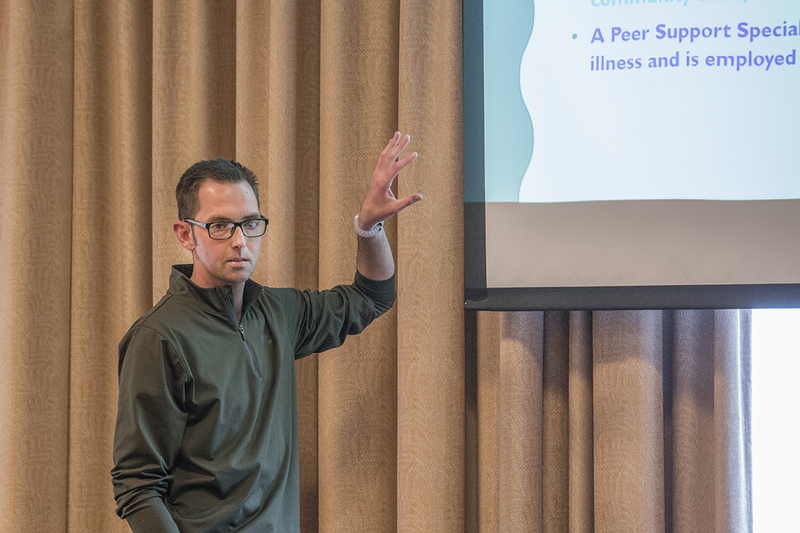 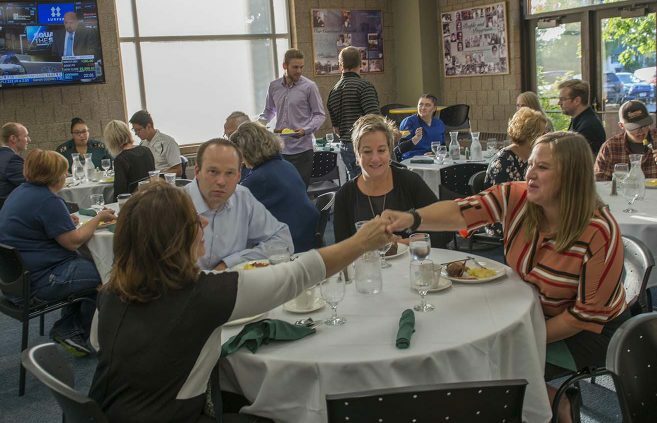 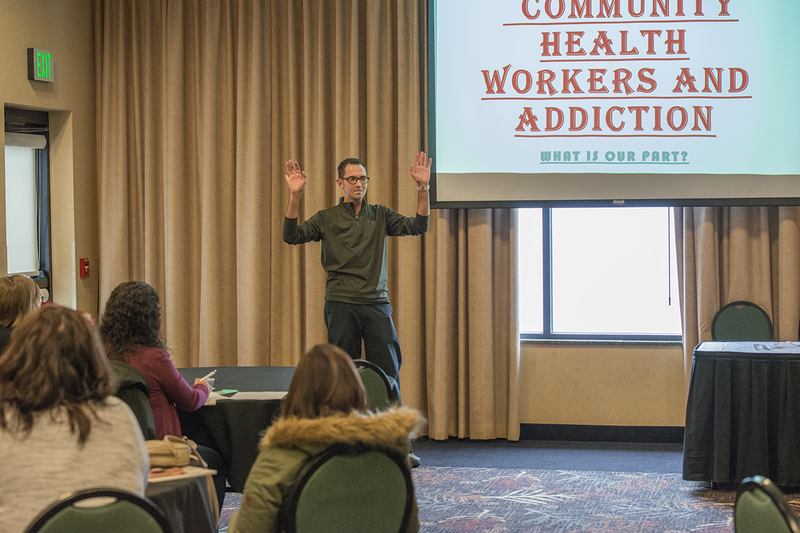 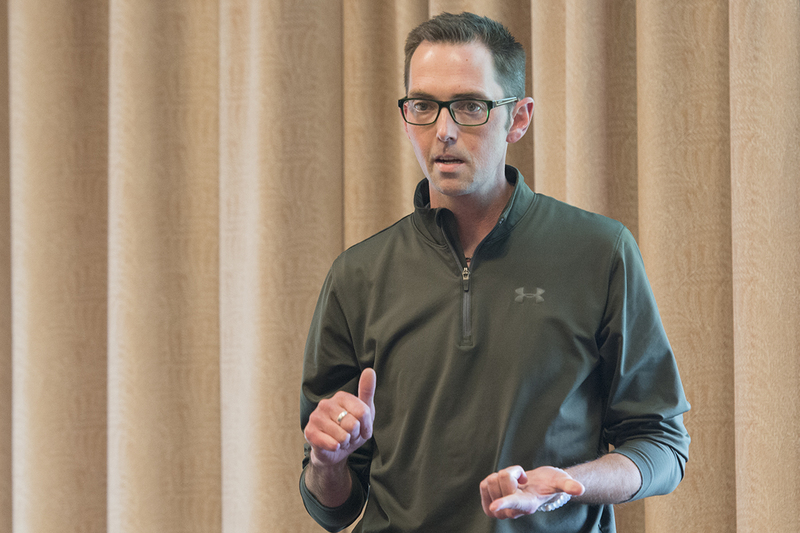 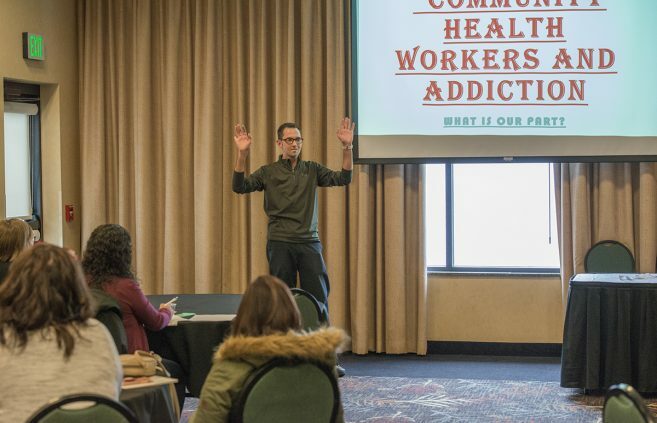 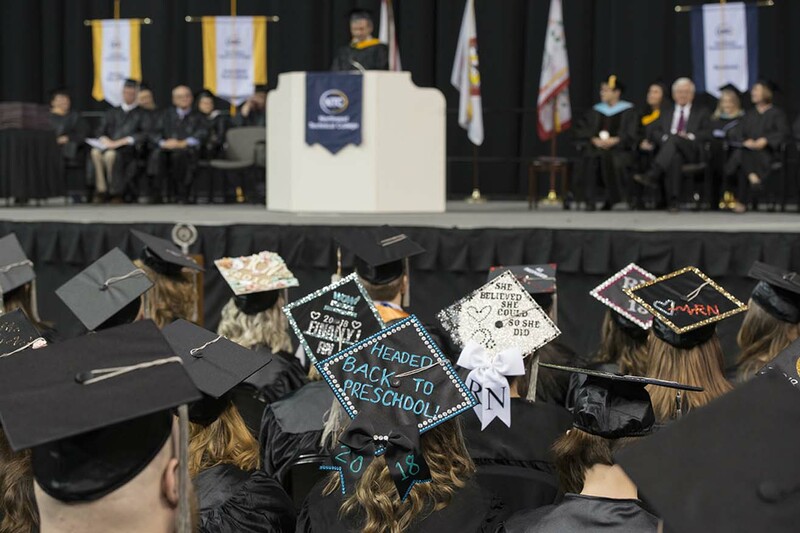 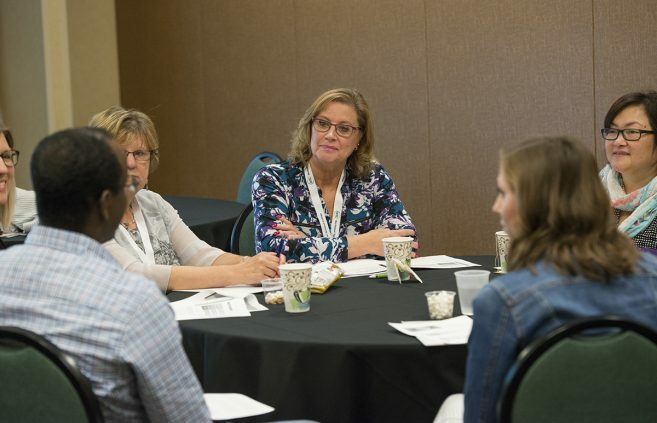 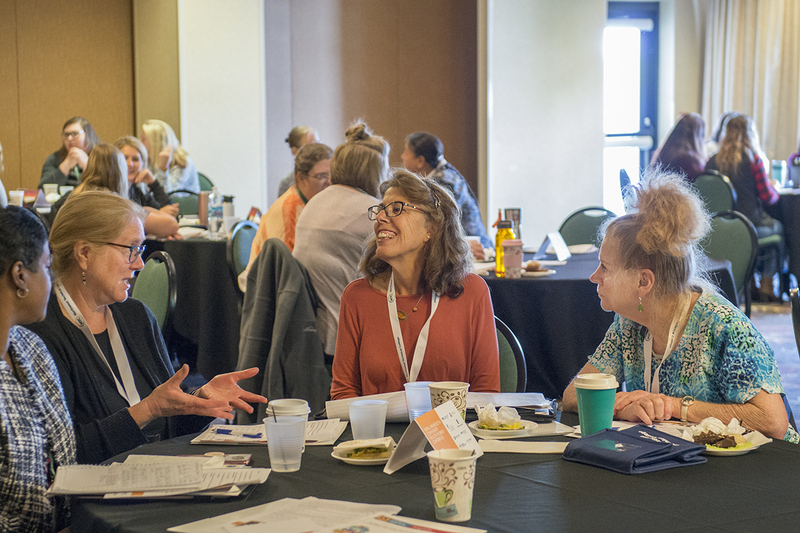 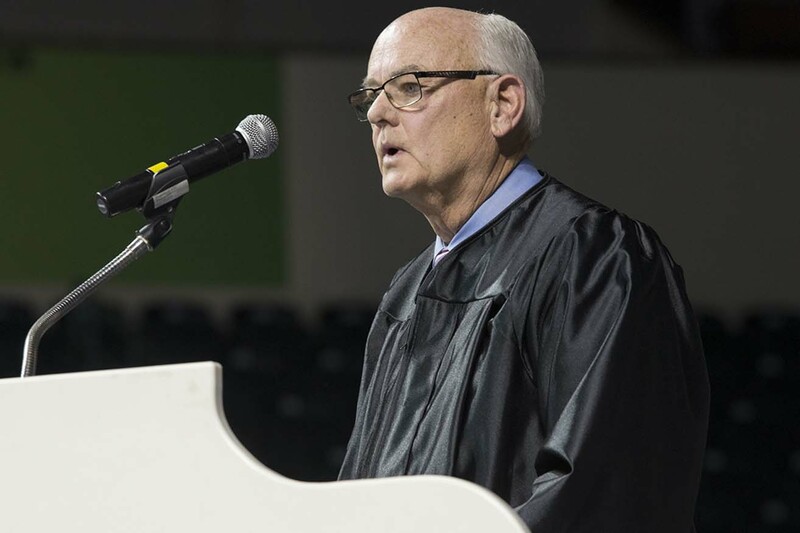 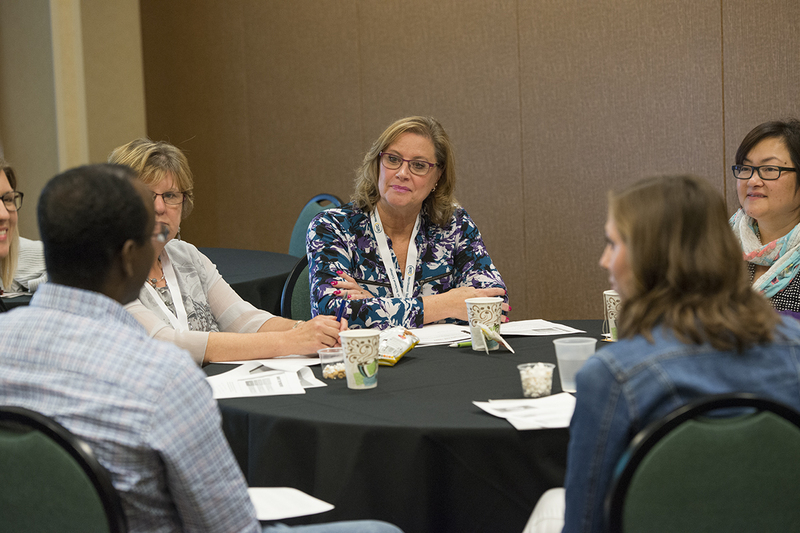 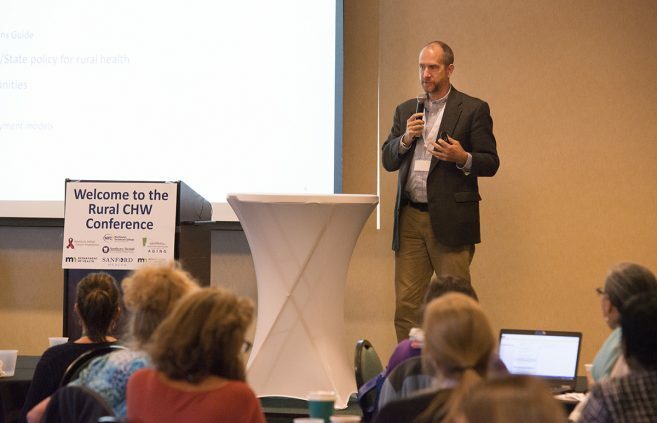 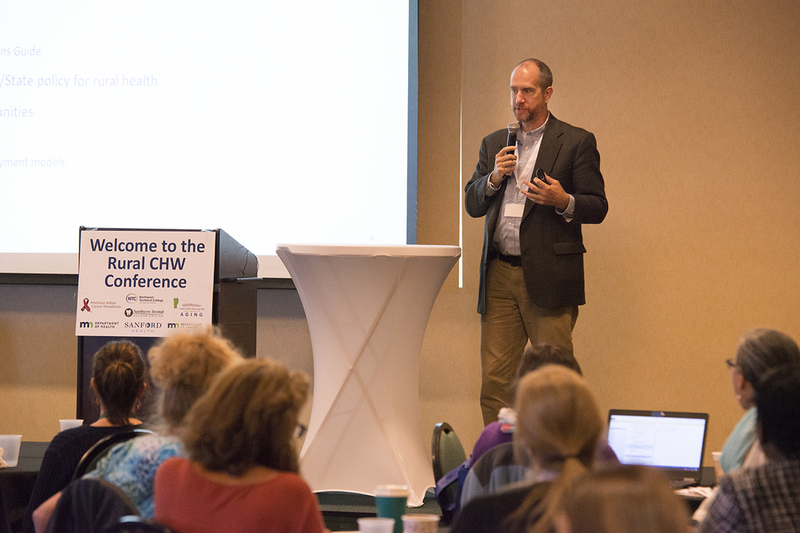 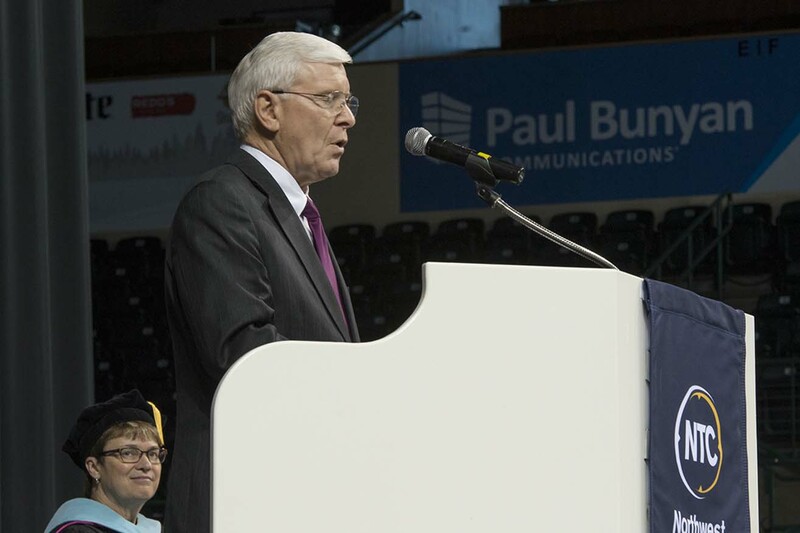 Faith C. Hensrud and Vice President for Academic and Student Affairs Darrin Strosahl have unveiled a draft strategic plan to guide the college for the next five years. Pam Stowe (2nd from right) won NTC’s Distinguished Service Award and was recognized for her upcoming retirement after 20 years of service. 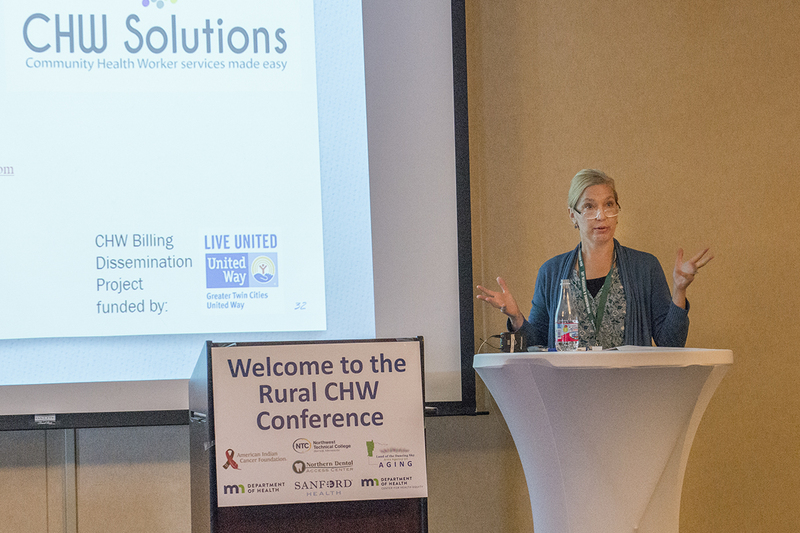 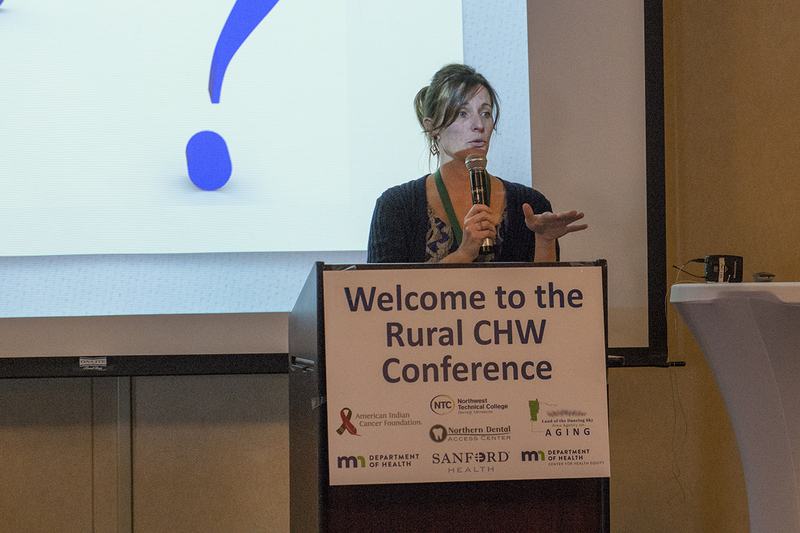 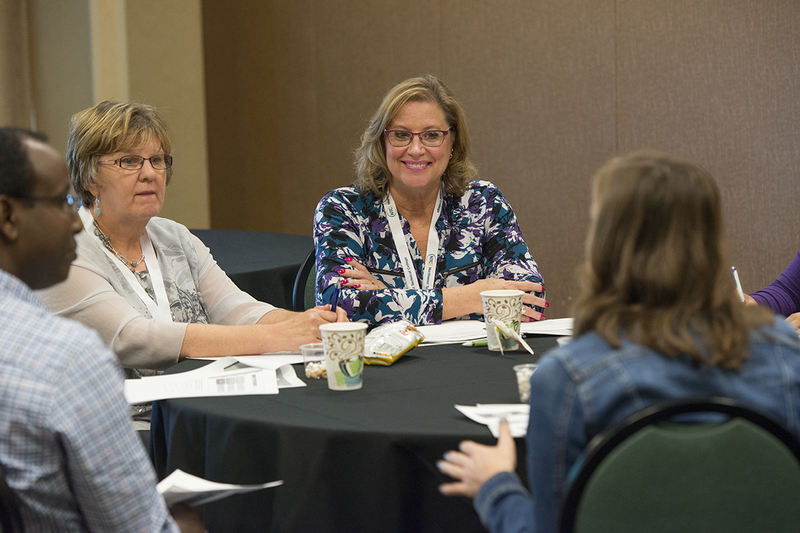 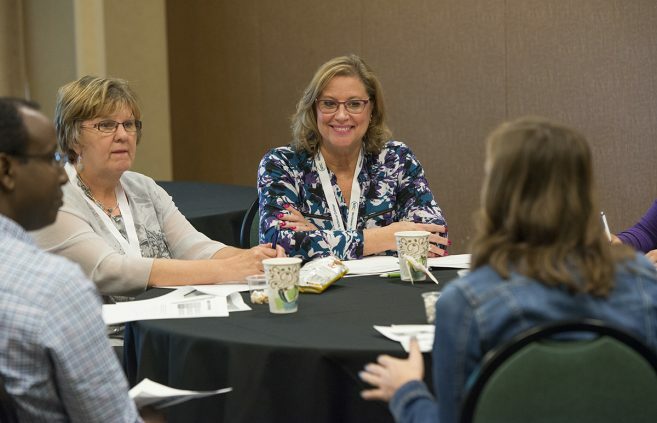 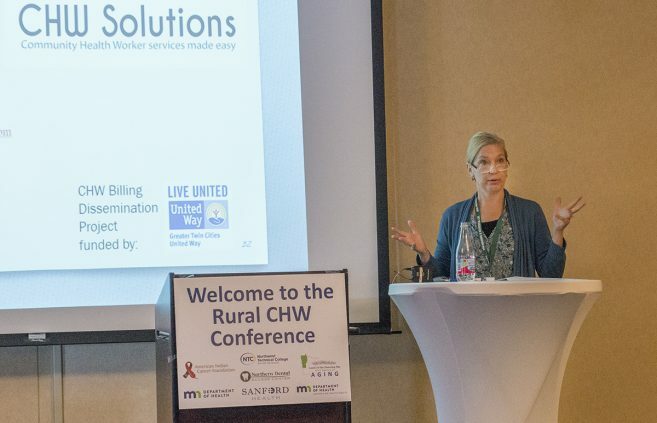 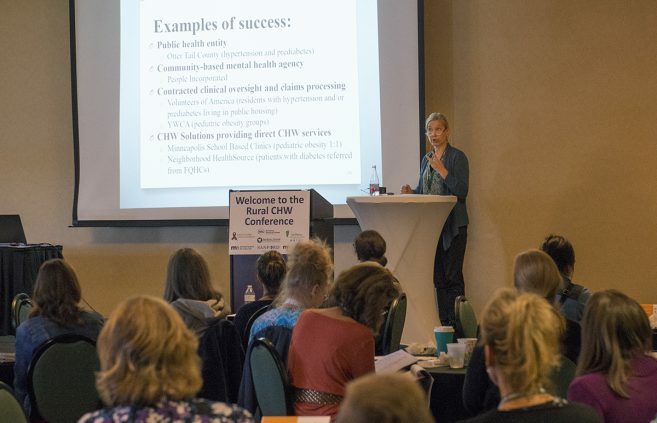 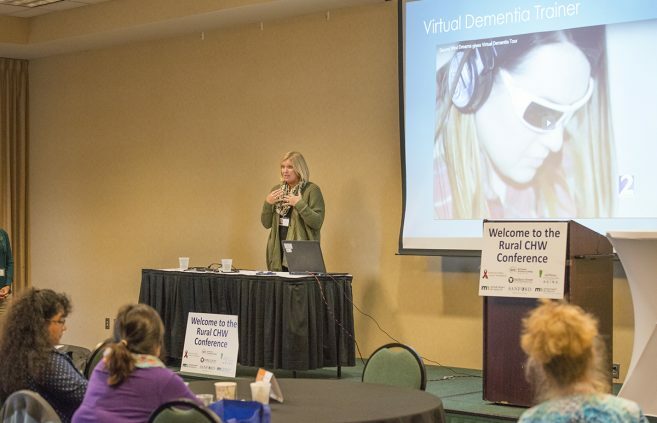 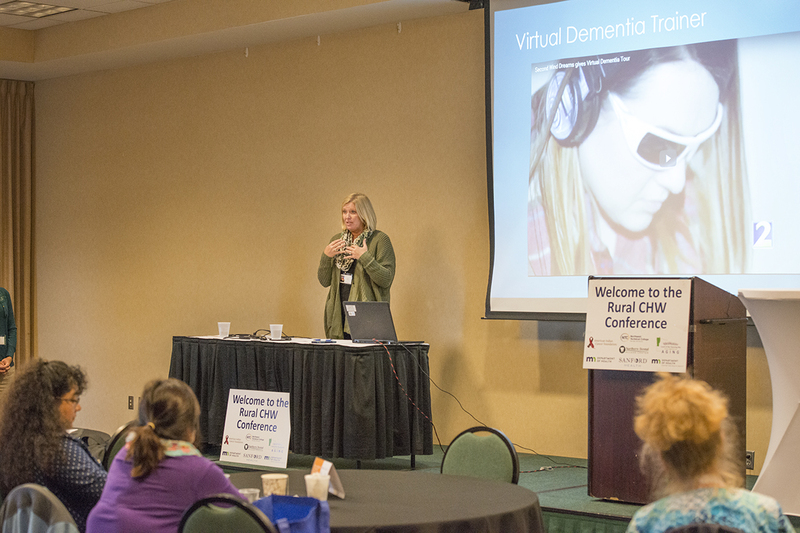 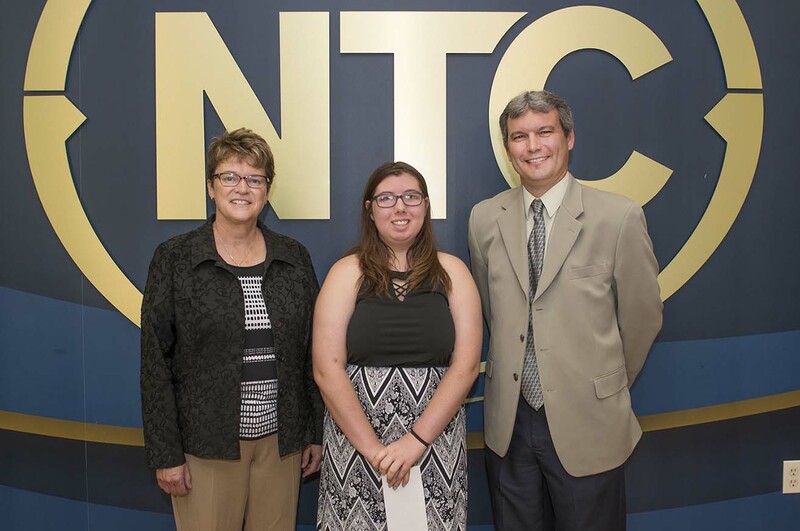 She’s pictured with VP Karen Snorek (left), President Faith Hensrud and VP Darrin Strosahl. 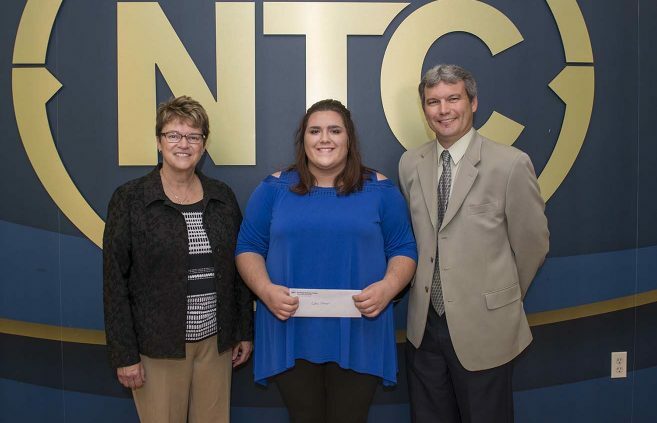 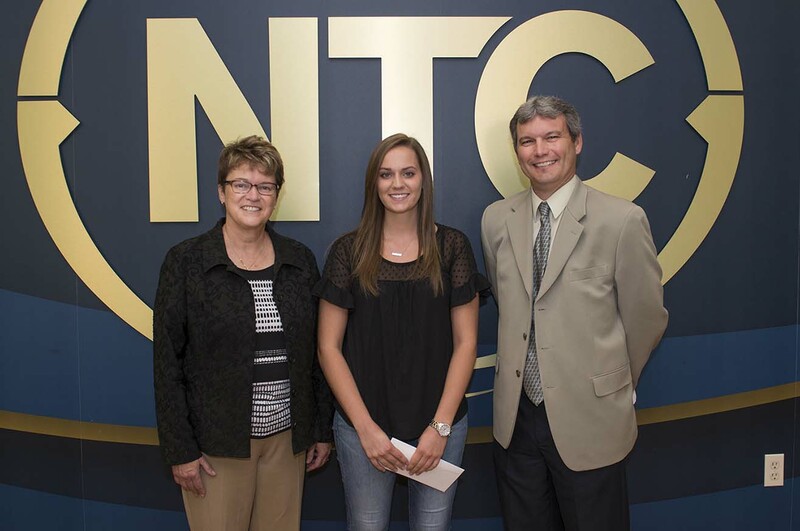 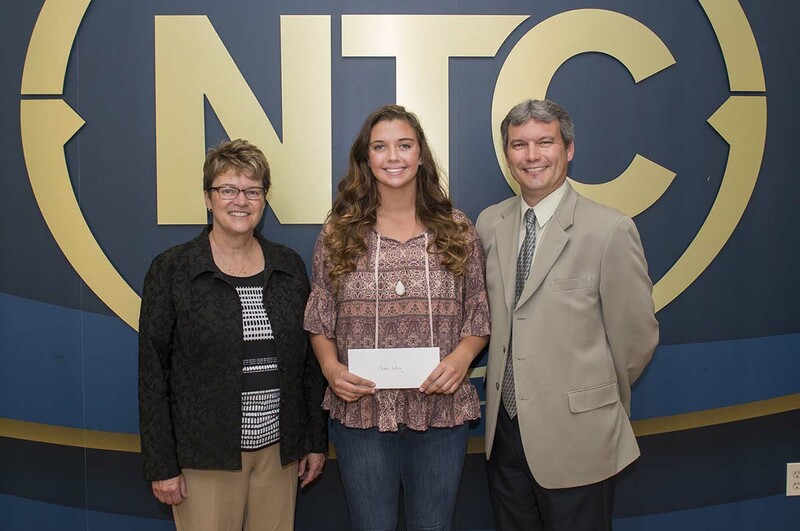 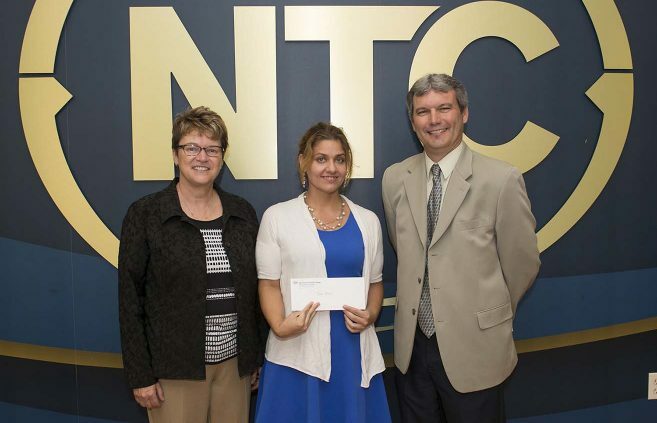 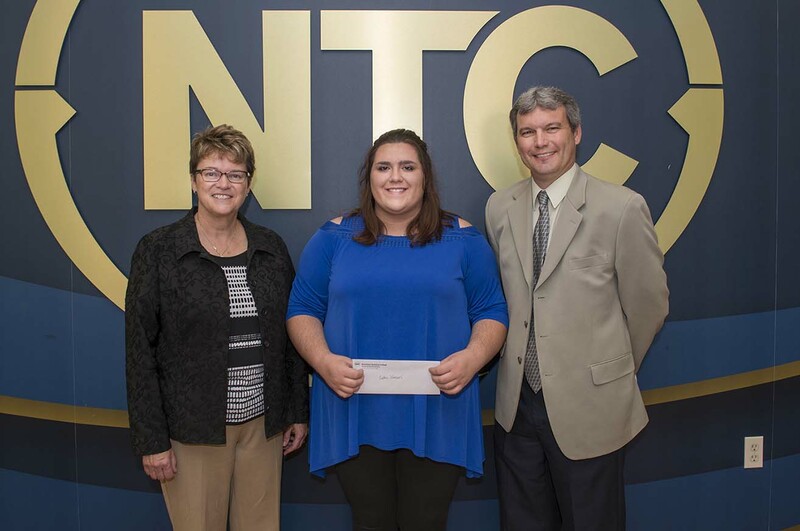 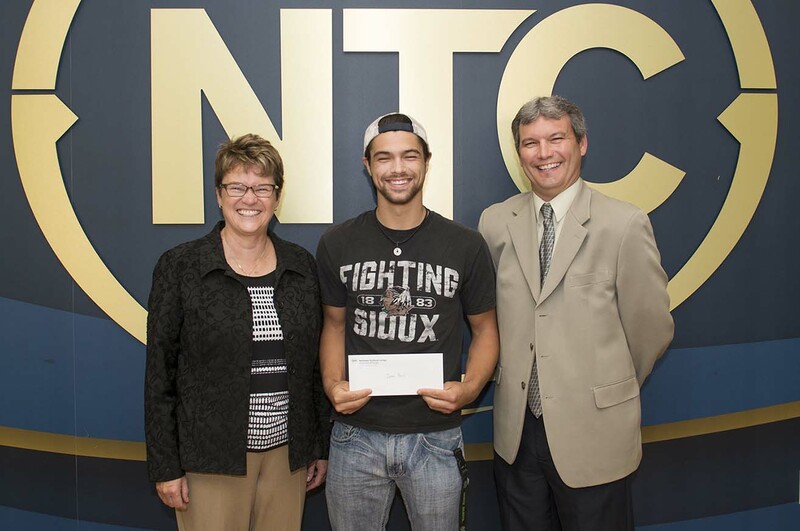 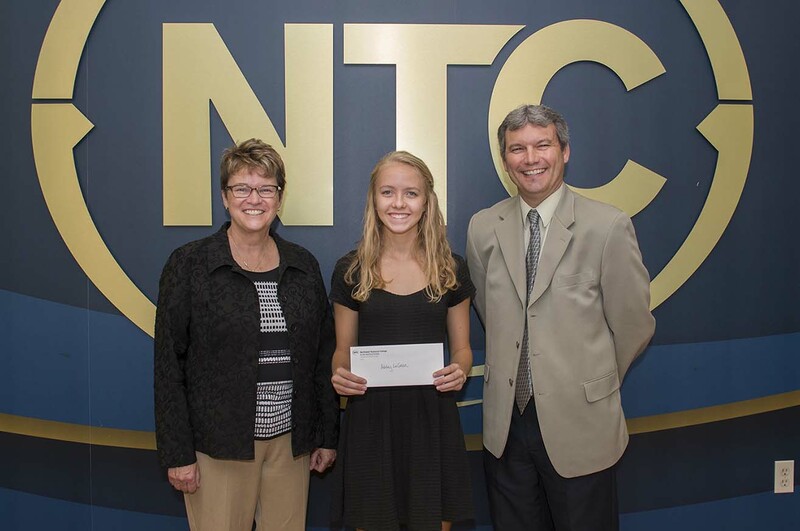 Grace Ferdinandt (2nd from right) from NTC’s Office of Financial Aid won the Sprit of NTC Award. 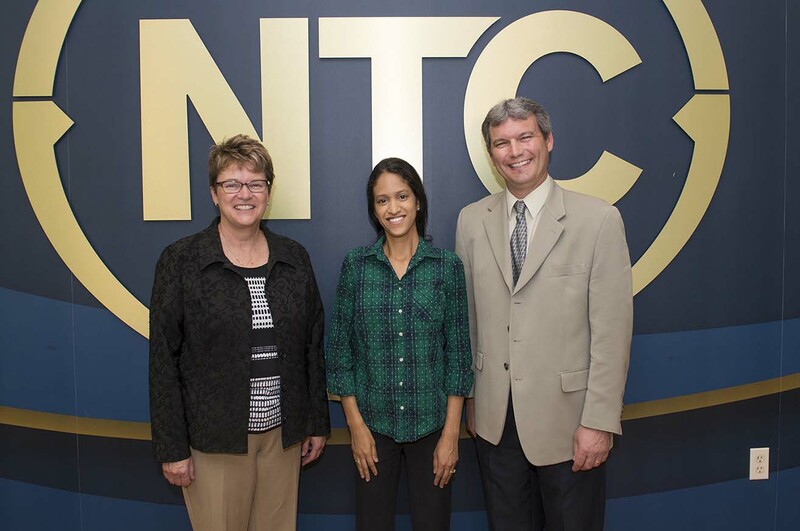 She’s pictured with VP Karen Snorek (left), President Faith Hensrud and VP Darrin Strosahl. 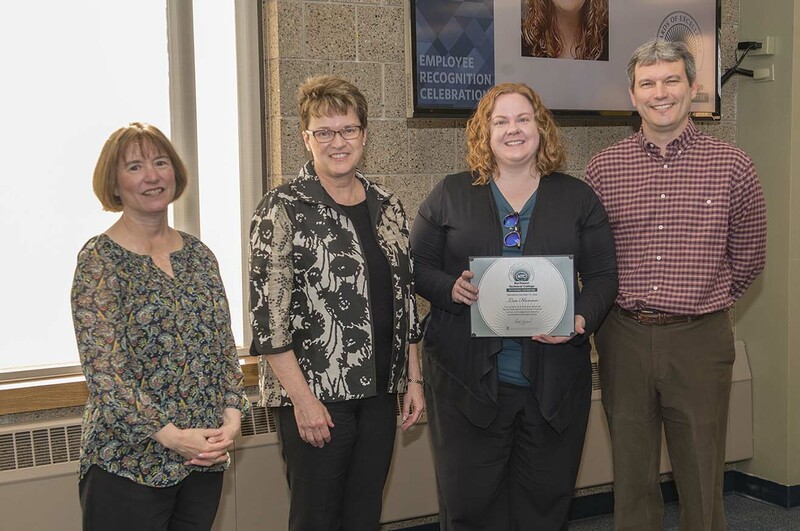 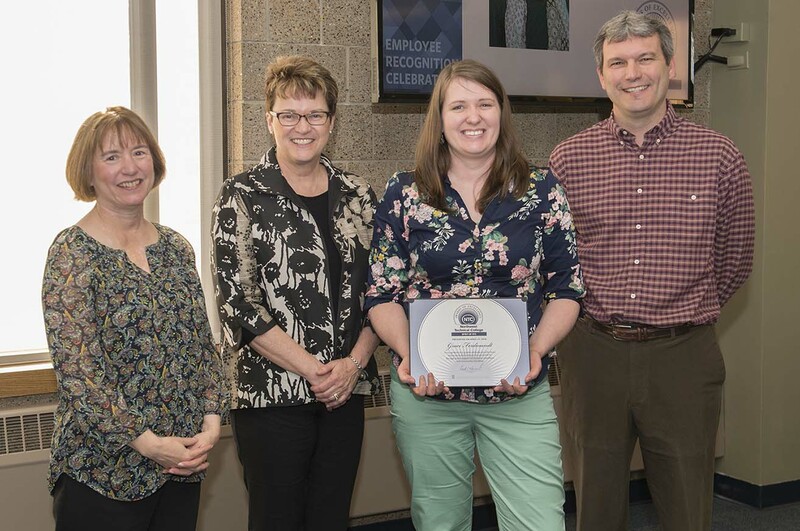 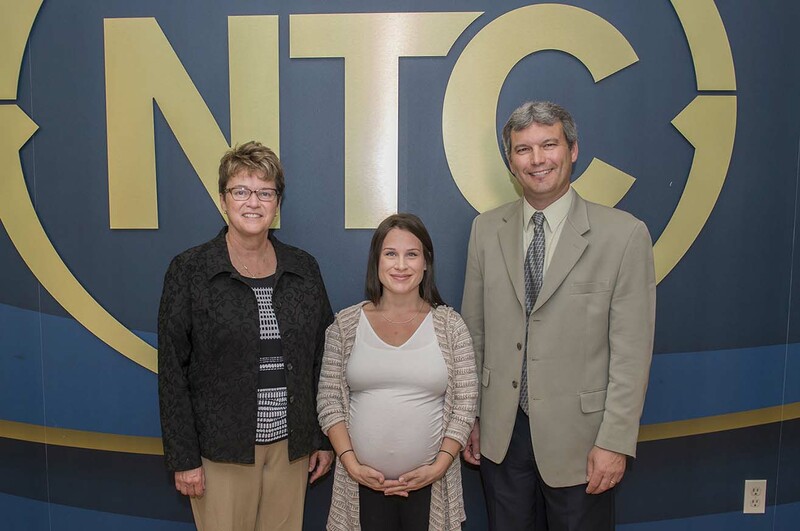 Lisa Hanson from the Office of Admissions (2nd from right) won NTC’s Outstanding Contribution Award. 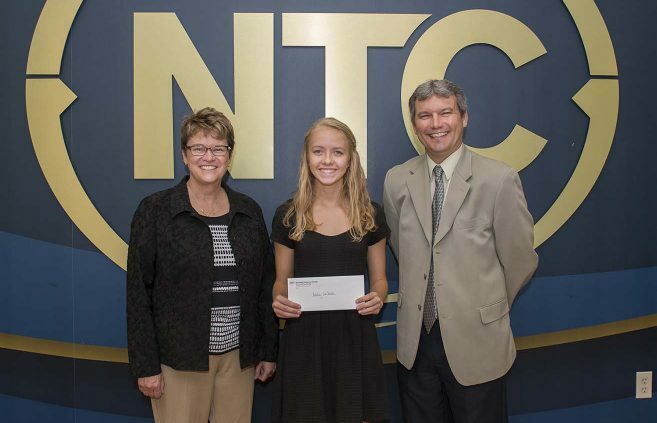 She’s pictured with VP Karen Snorek (left), President Faith Hensrud and VP Darrin Strosahl. 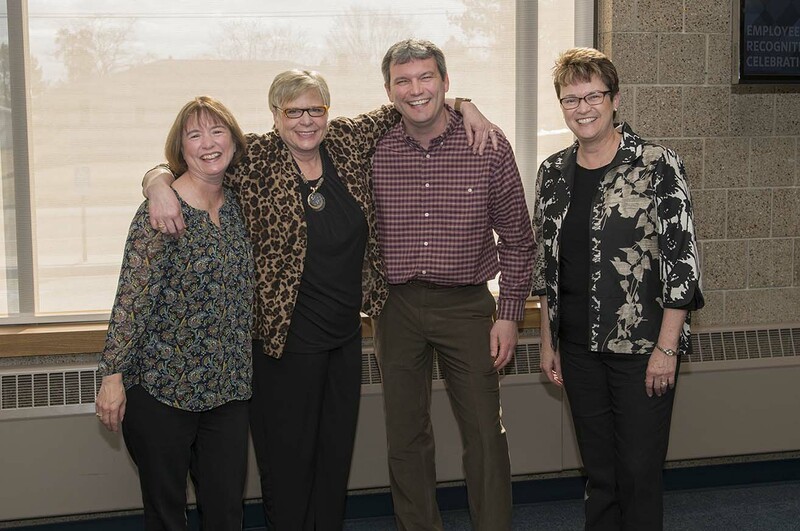 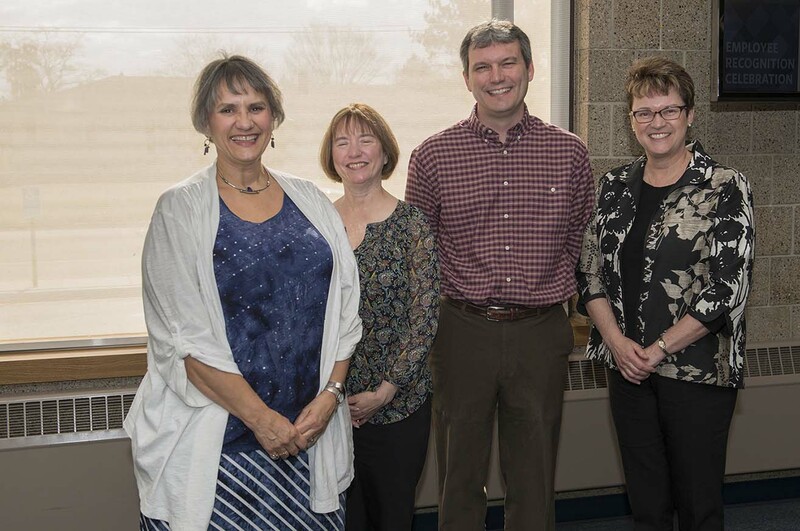 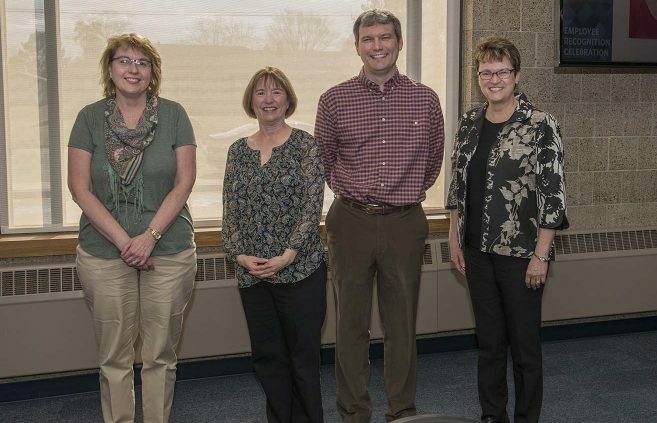 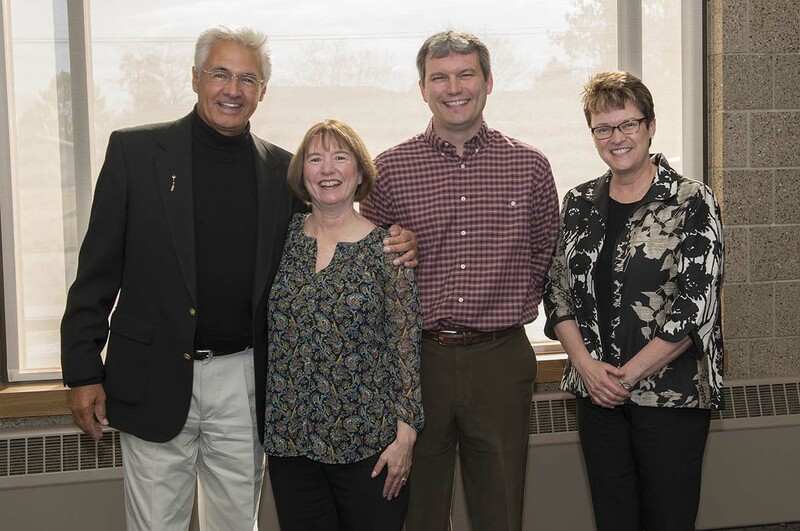 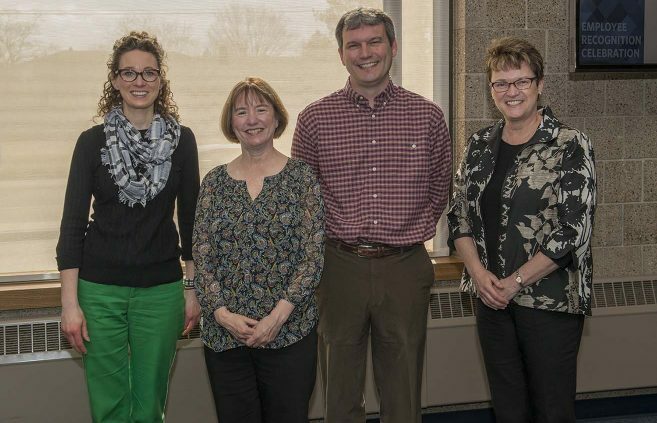 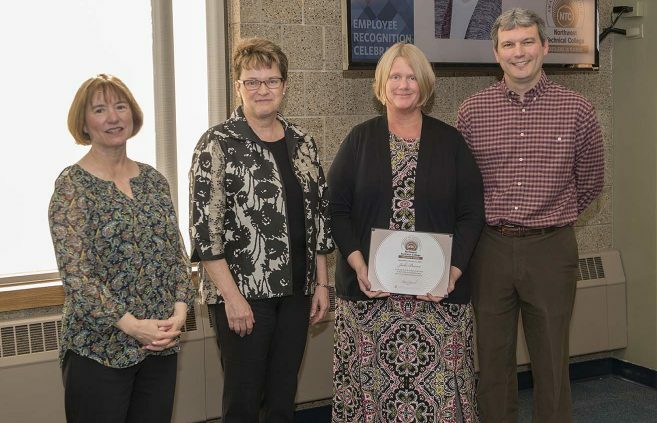 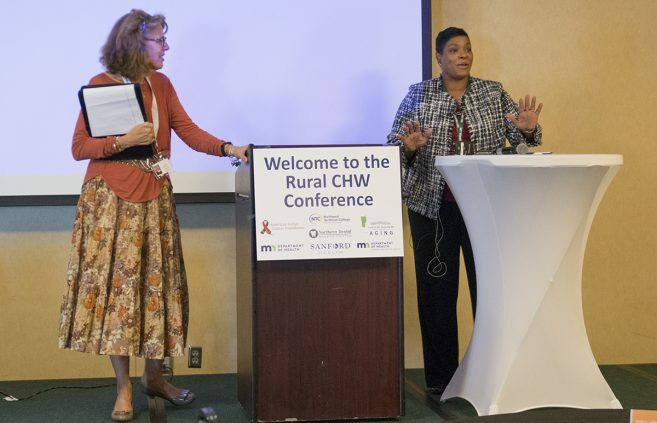 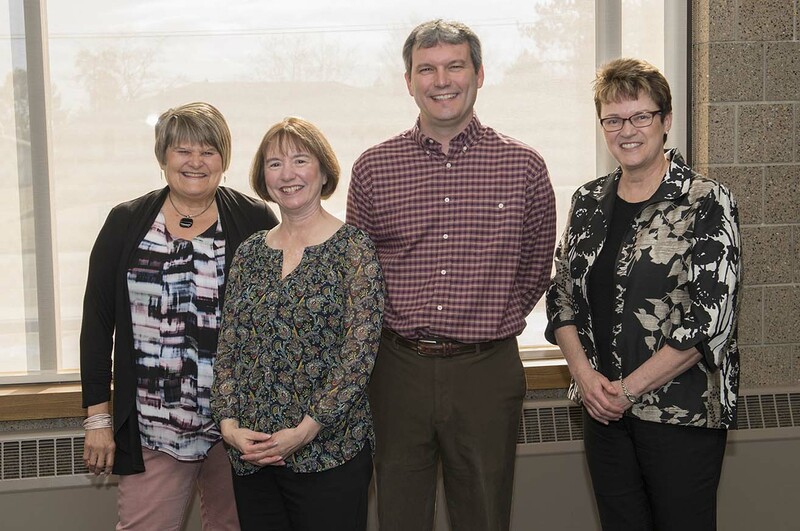 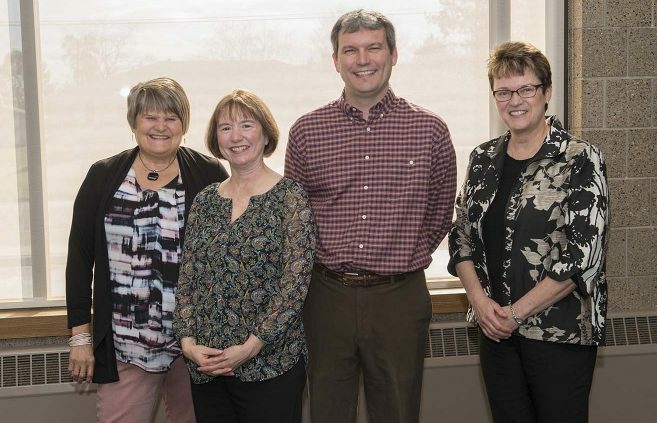 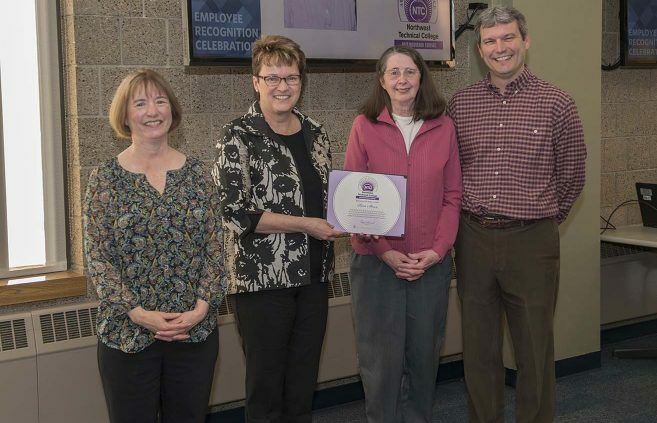 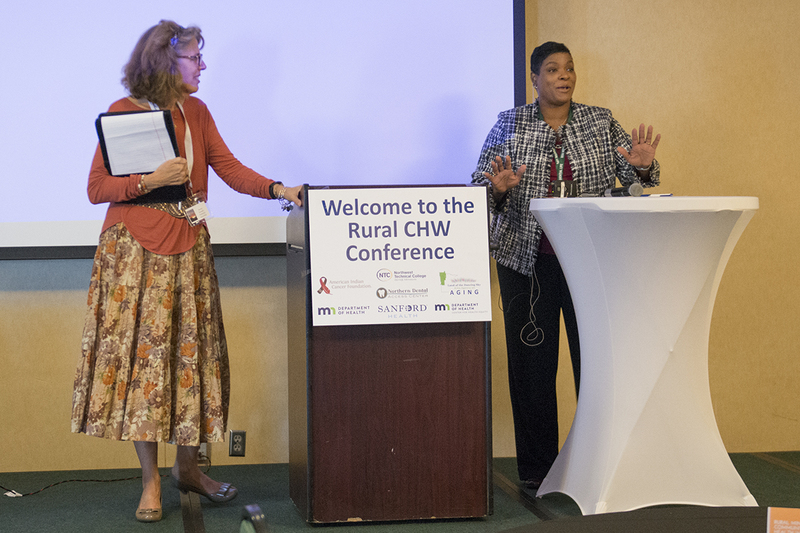 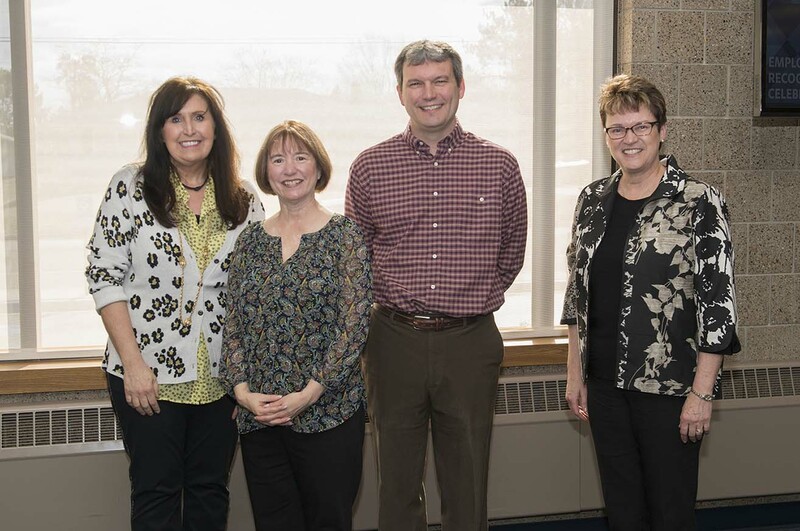 Nursing faculty member Julie Beevor (2nd from right) won NTC’s Excellence in Teaching Award. 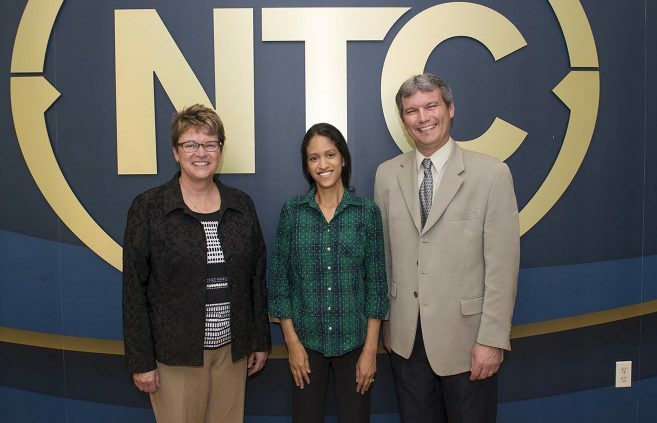 She’s pictured with VP Karen Snorek (left), President Faith Hensrud and VP Darrin Strosahl. 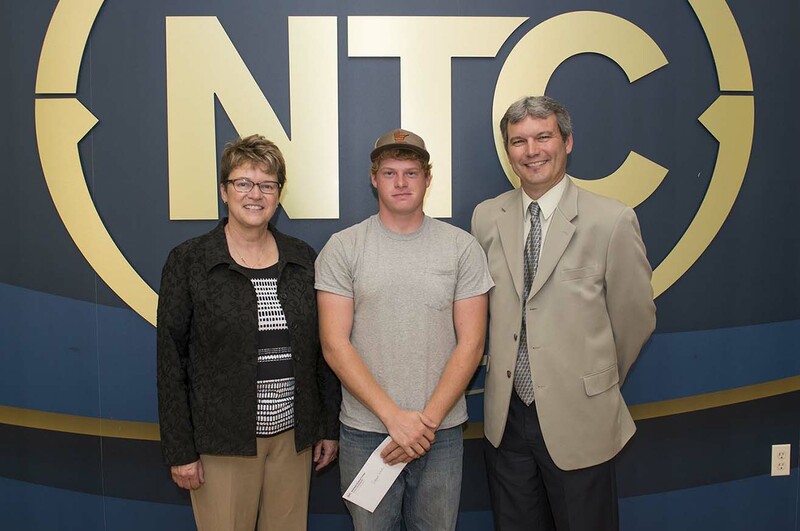 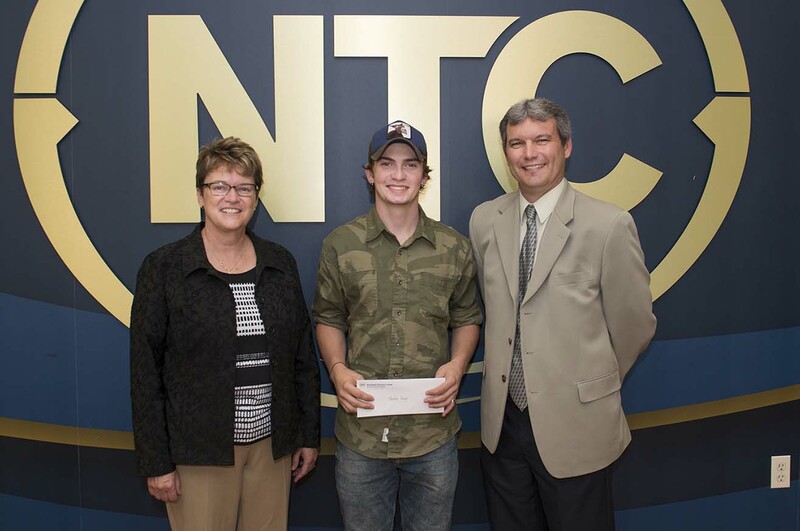 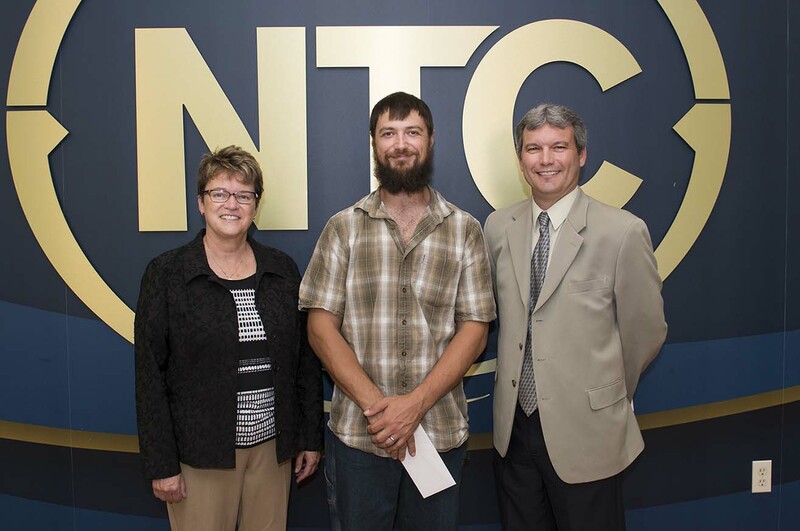 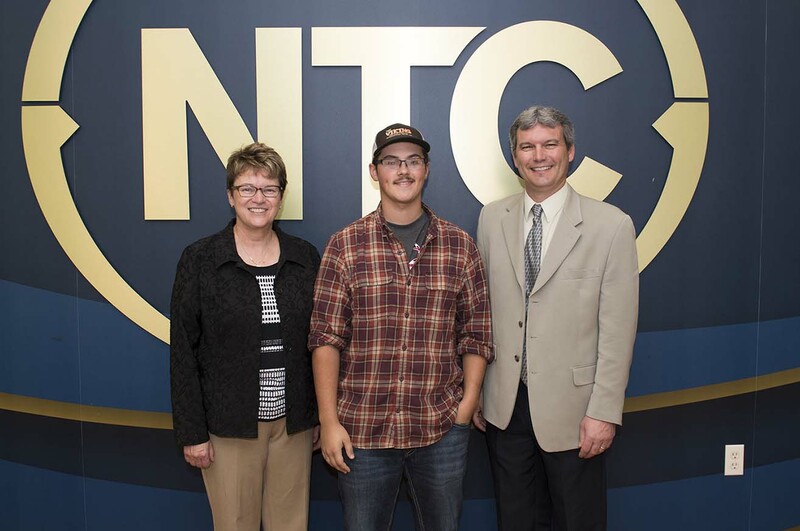 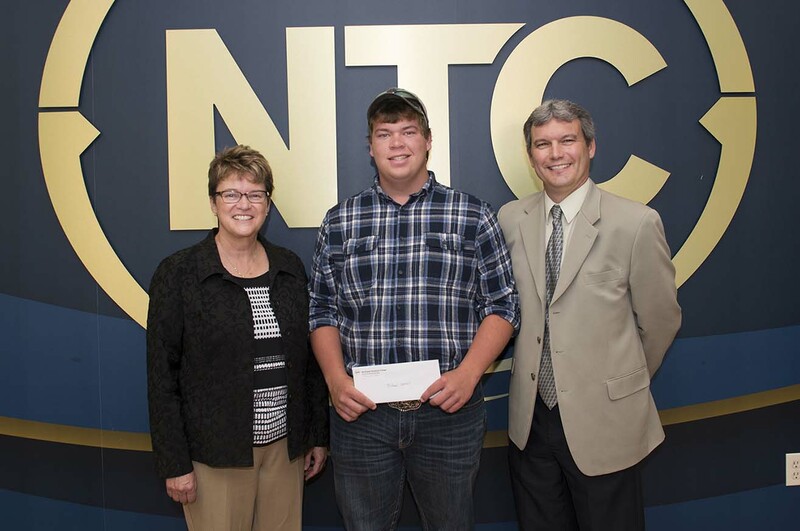 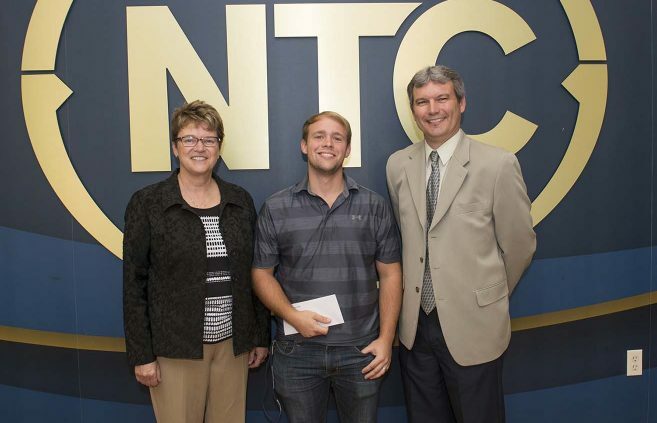 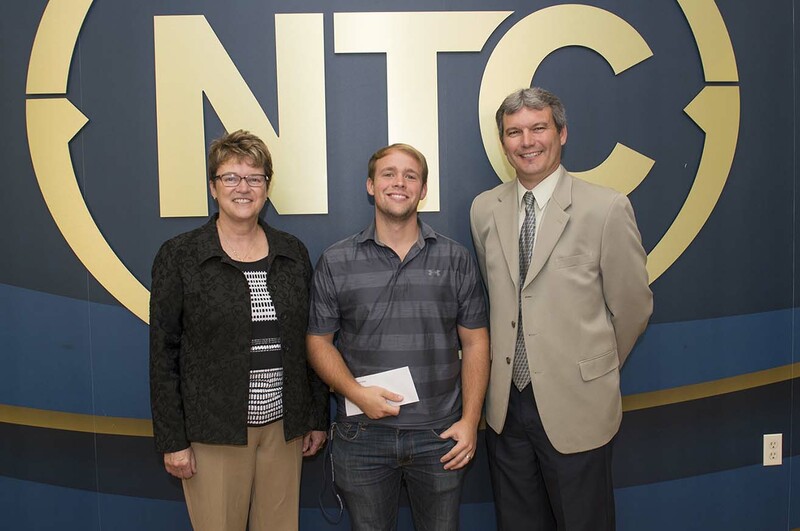 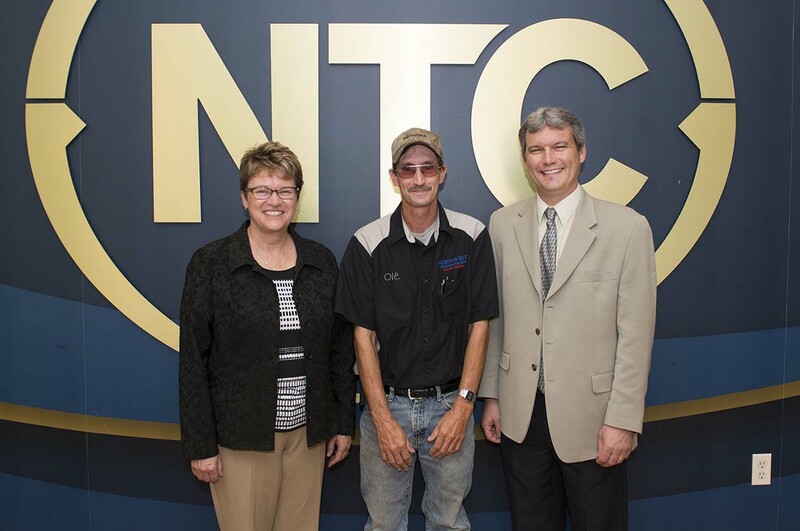 Charles Boyer (far left) was recognized for five years of service to NTC. 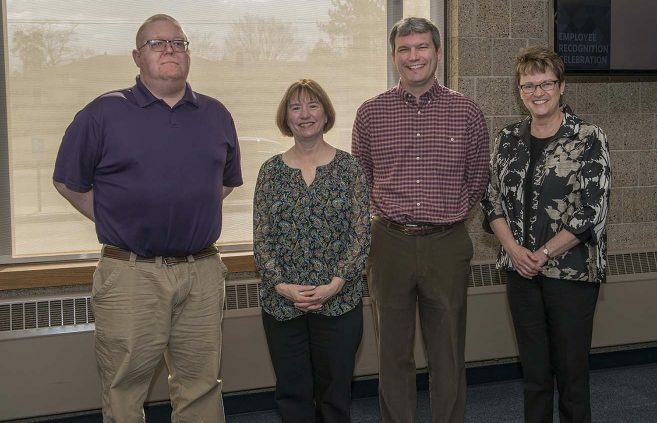 Scott Tadlock (far left) was recognized for five years of service to Distance Minnesota. 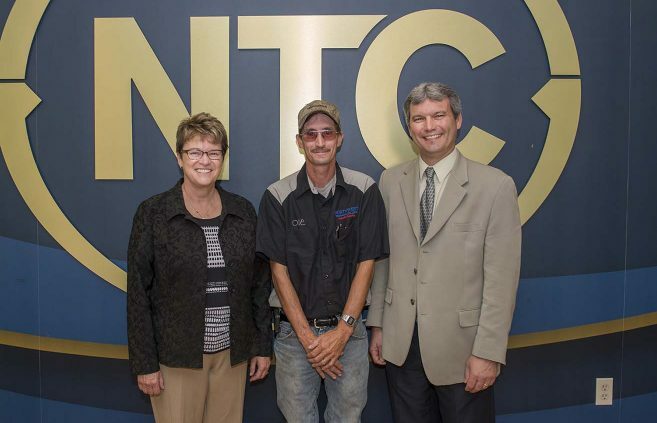 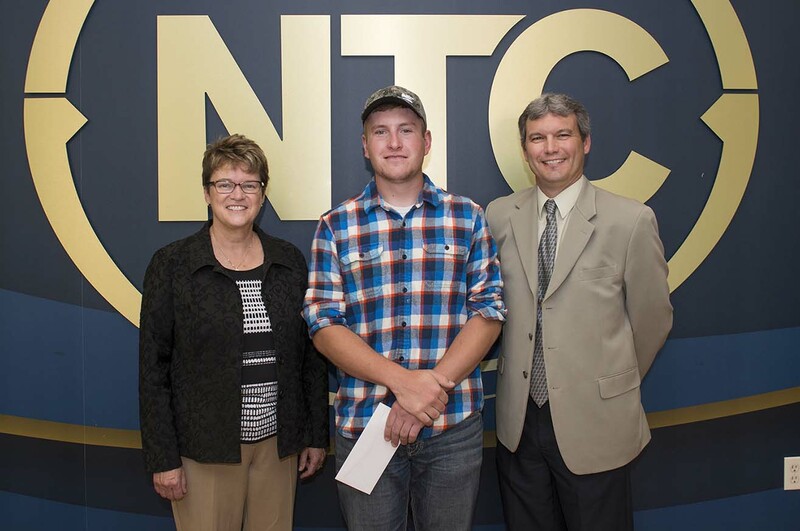 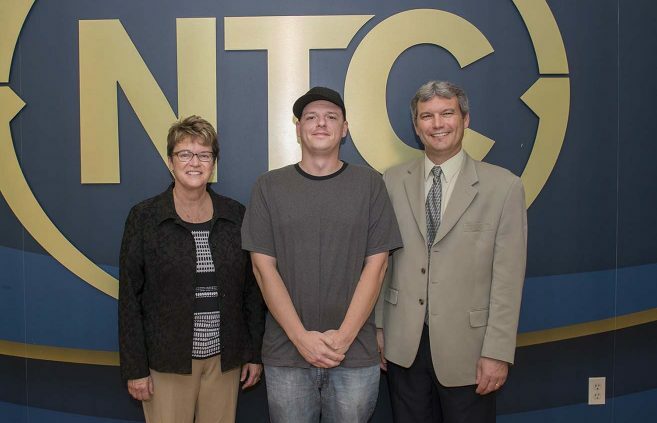 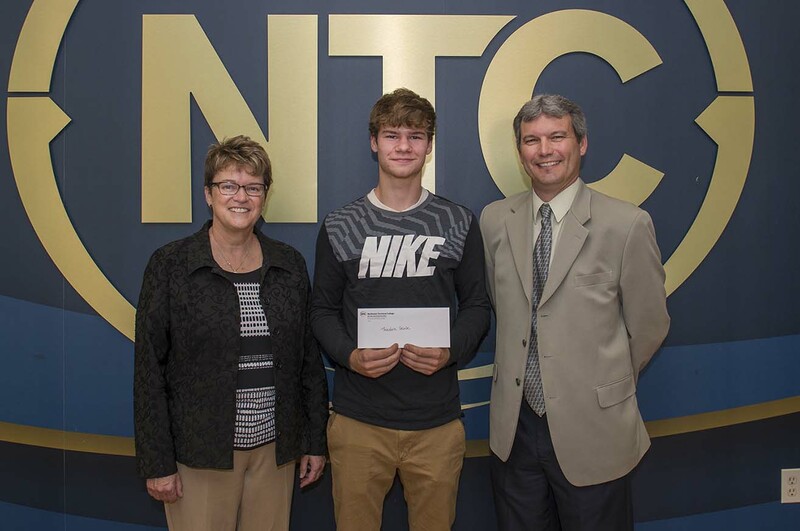 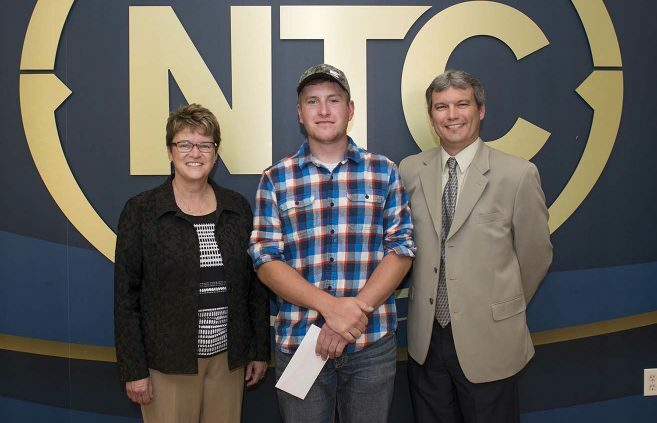 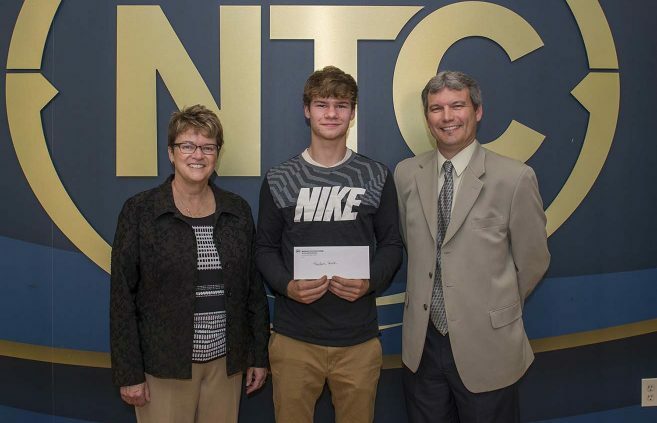 Sandy Johanning (far left) was recognized for 10 years of service to NTC. 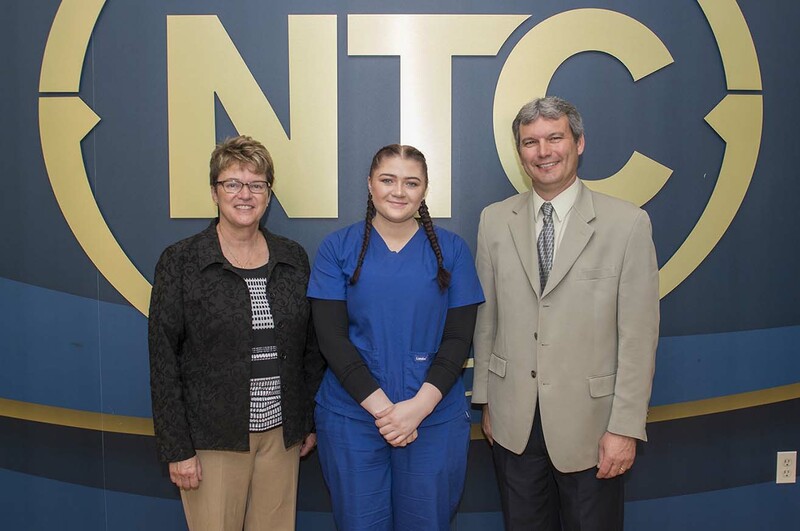 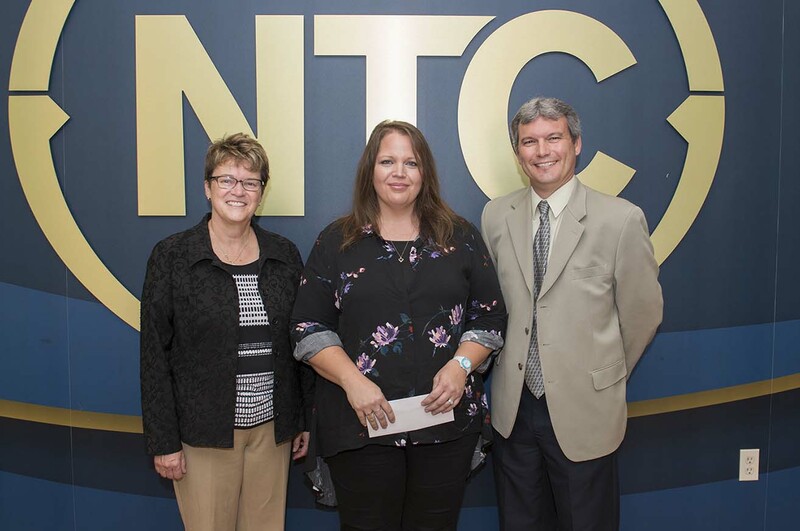 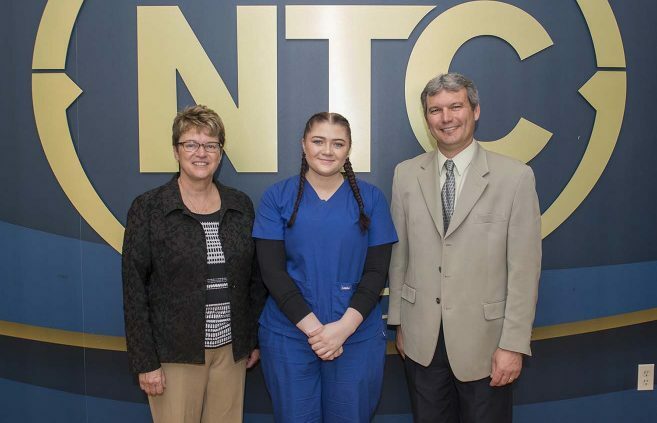 Kari Kantack Miller (far left) was recognized for 10 years of service to NTC. Jeff Brower (far left) was recognized for 25 years of service to NTC. 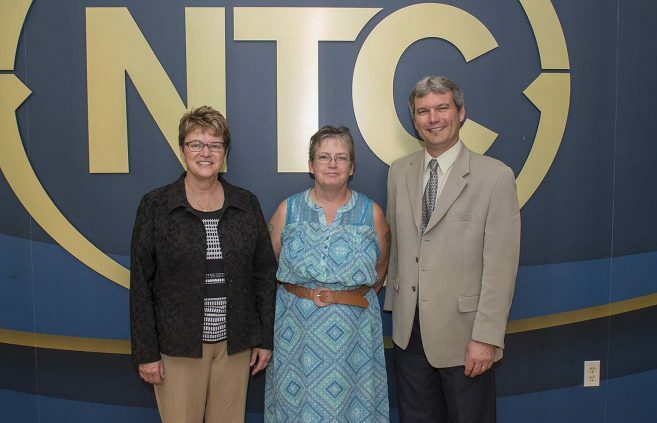 Judy Rinkenberger (far left) was recognized for 25 years of service to NTC. 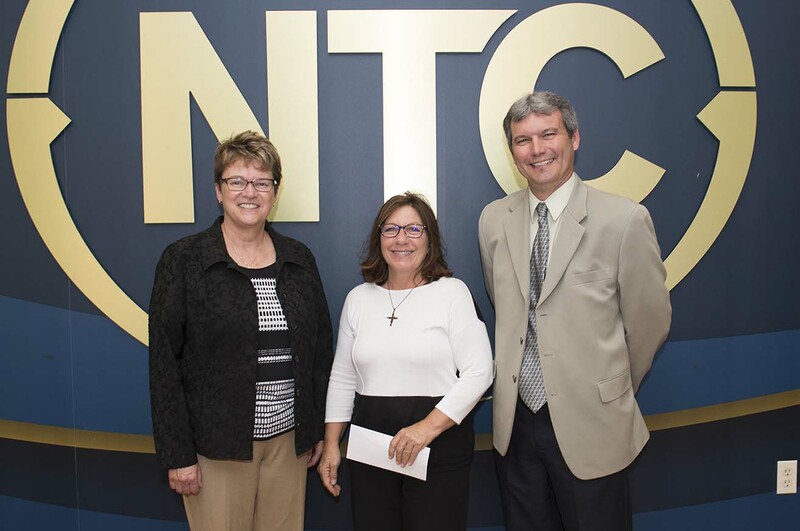 Sheila Lapp (2nd from left) was recognized for 25 years of service to NTC. Carsha Lapp (far left) was recognized for 30 years of service to NTC. 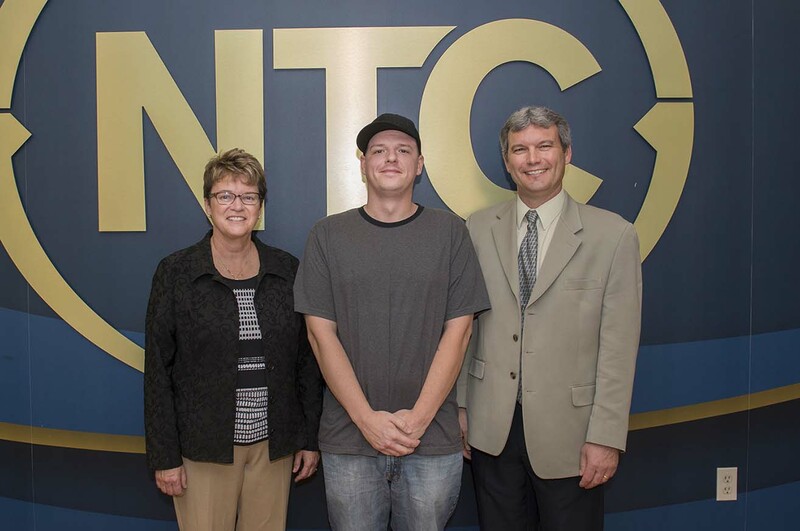 Joe Aitken (far left) accepted recognition on behalf of his wife, Margo Curb-Aitken, who is retiring from NTC after 16 years of service. 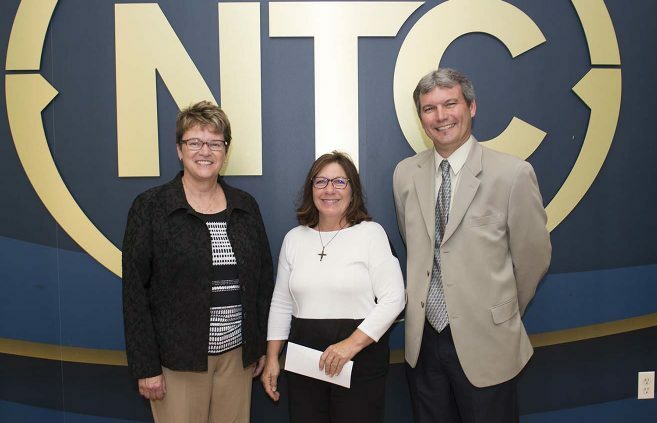 Cheryl Harms (far left) is retiring from NTC after 13 years of service. 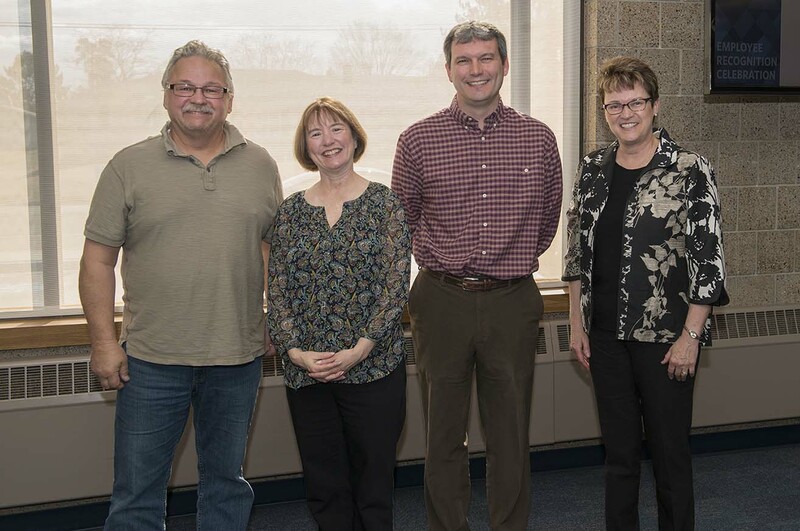 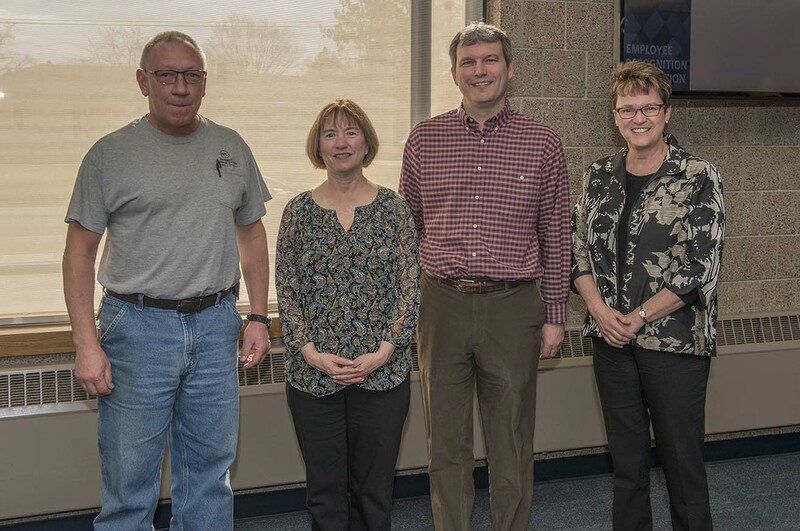 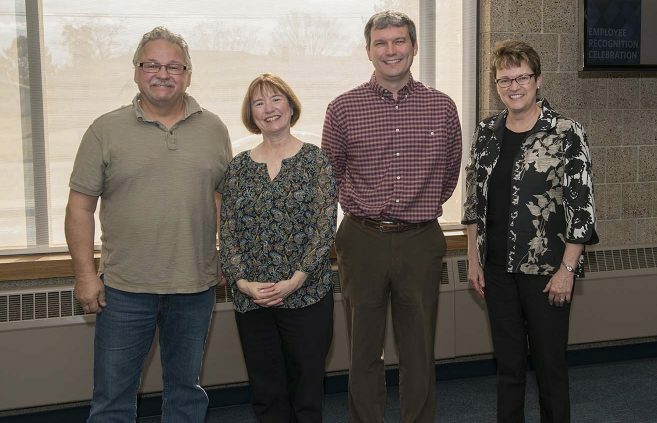 Five retiring Northwest Technical College employees with a combined 125 years of service to the college or Distance Minnesota were recognized, along with 10 employees reaching length-of-service milestones and the college’s annual employee award winners, at an April 27 celebration on campus. 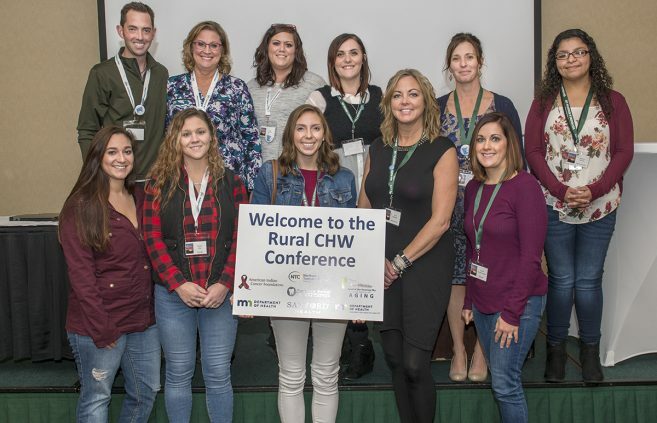 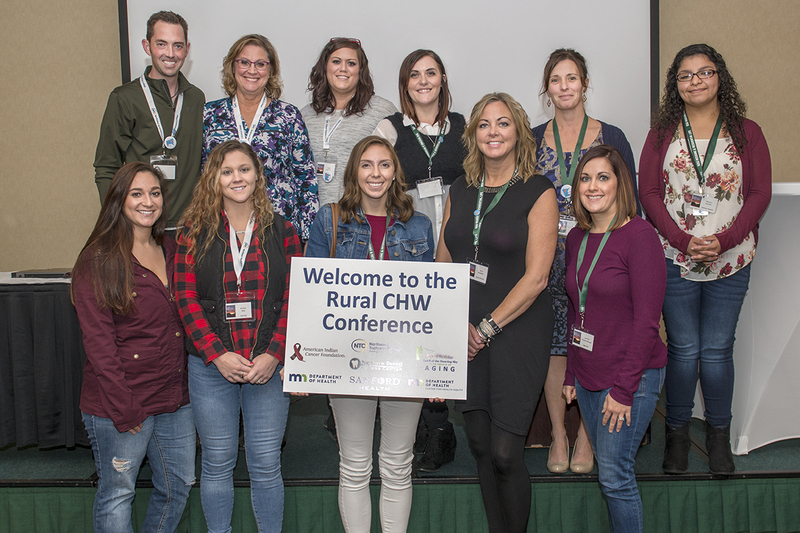 From left to right: Breanna Corbin (Electrical Construction and Maintenance) from Kelliher, Shane Jensen (NTC Staff), Mark Stodola (Automotive Service and Performance) from Blackduck, Mackenzie Scraper (Practical Nursing) from Fargo ND, Jake Erickson (Automotive Service and Performance) from Minnetonka, and Matthew Fank (Childcare & Education and Young Child Education) from Bemidji. 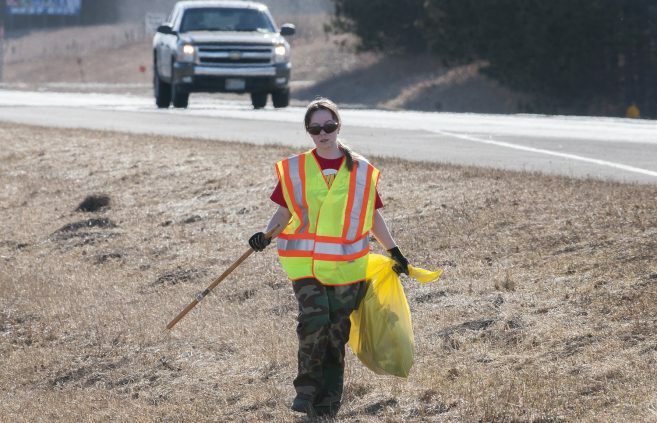 Breanna Corbine and Shane Jensen picking up trash. Matthew Fank, Mark Stodola, Mackenzie Scraper and Breanna Corbine. 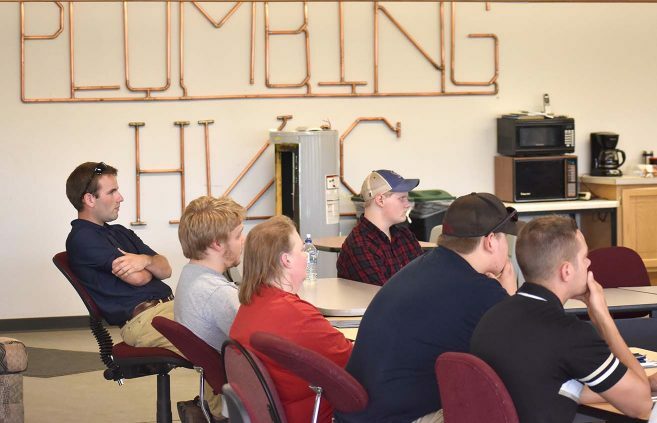 From left to right: Mark Stodola, Jake Erickson, Shane Jensen, Matthew Fank, and Mackenzie Scraper. 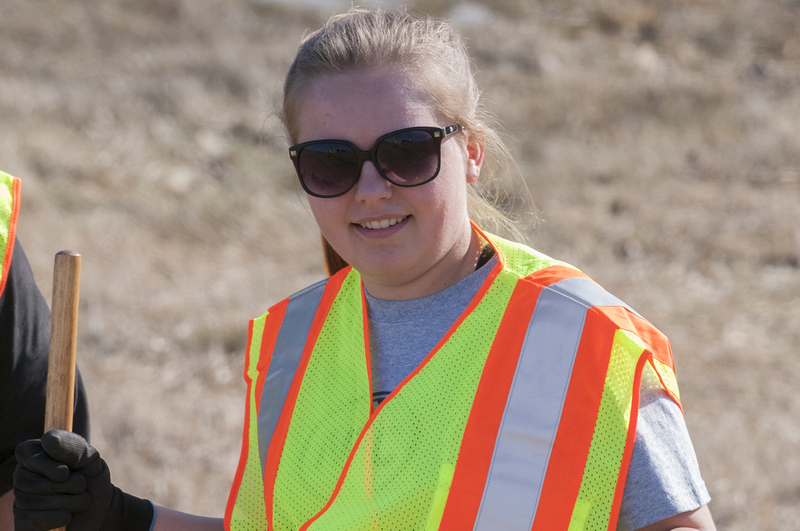 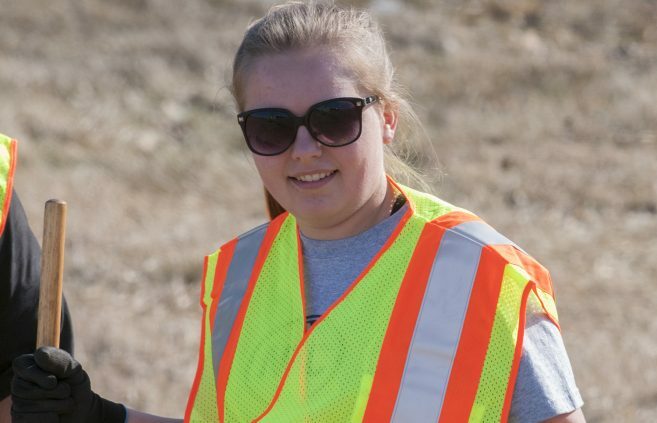 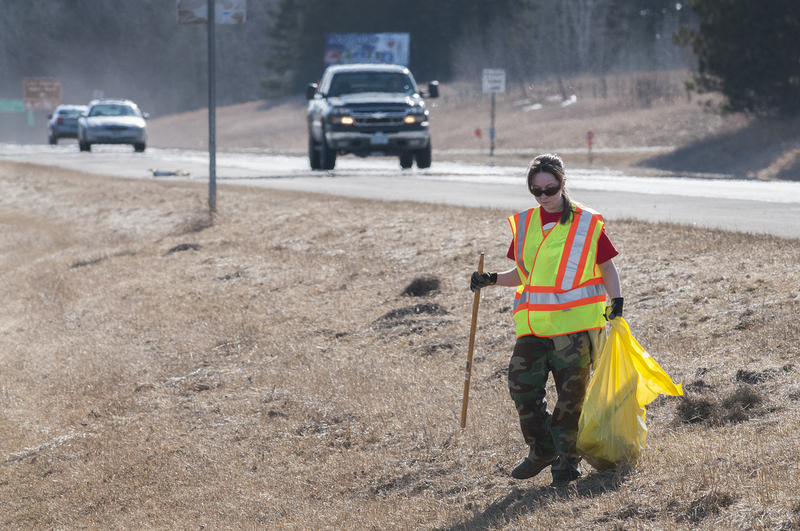 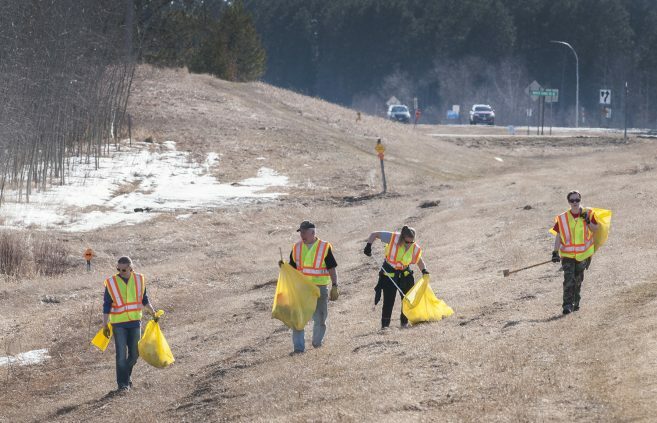 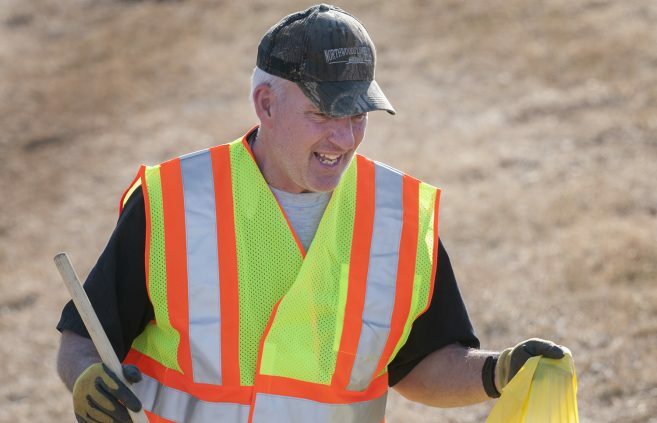 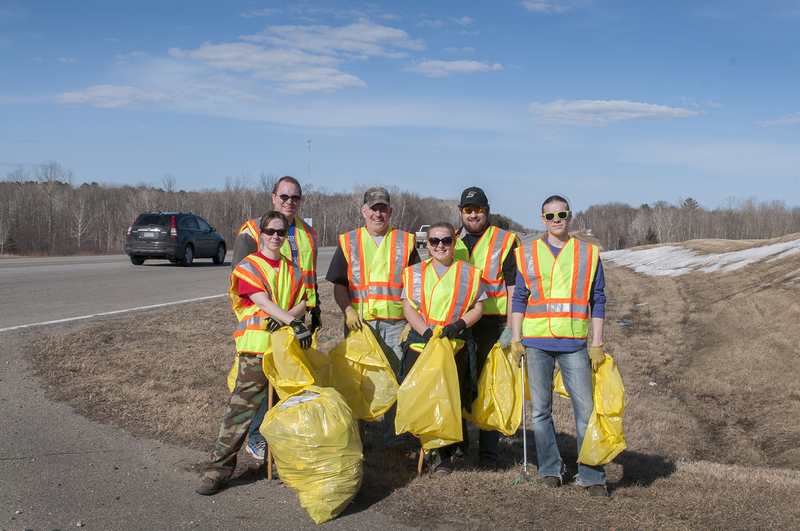 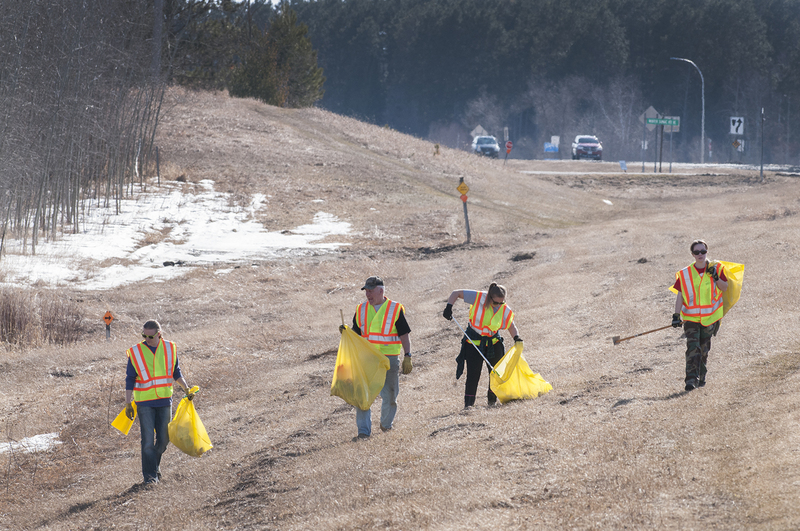 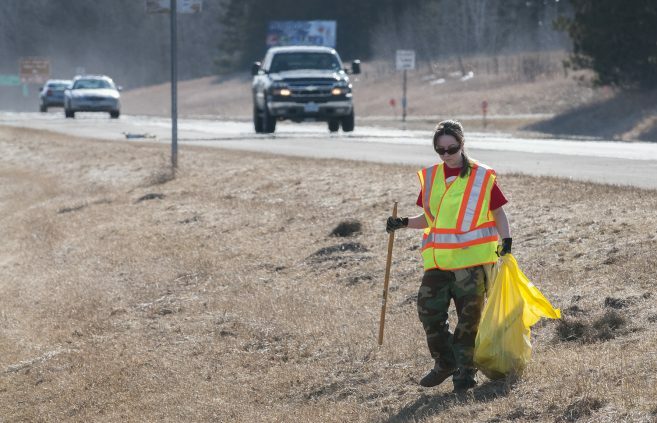 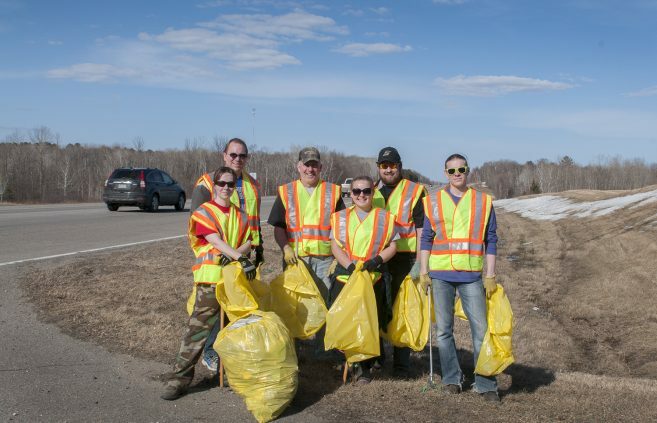 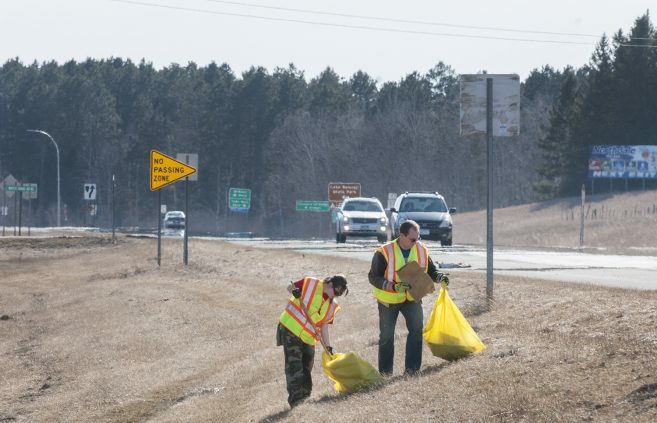 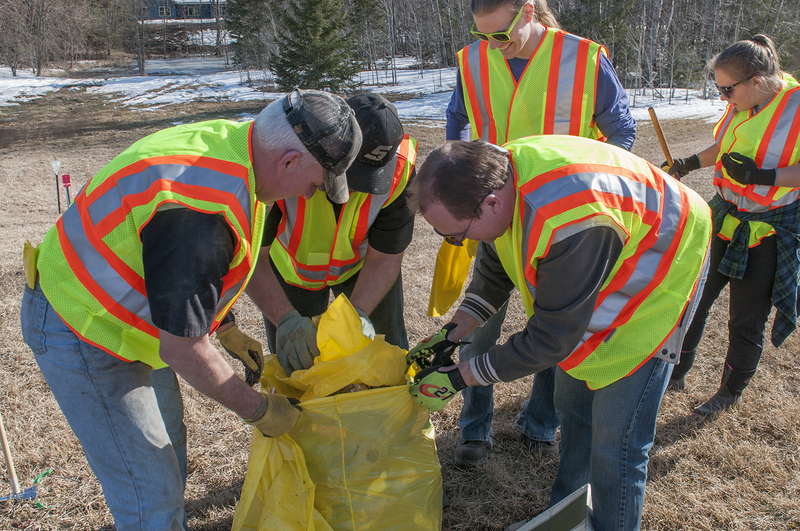 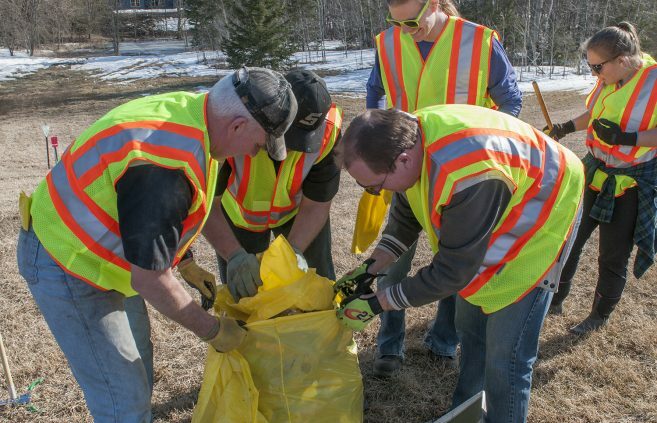 Five Northwest Technical College Student Senate members picked up trash along their new stretch of highway on Friday, April 20.